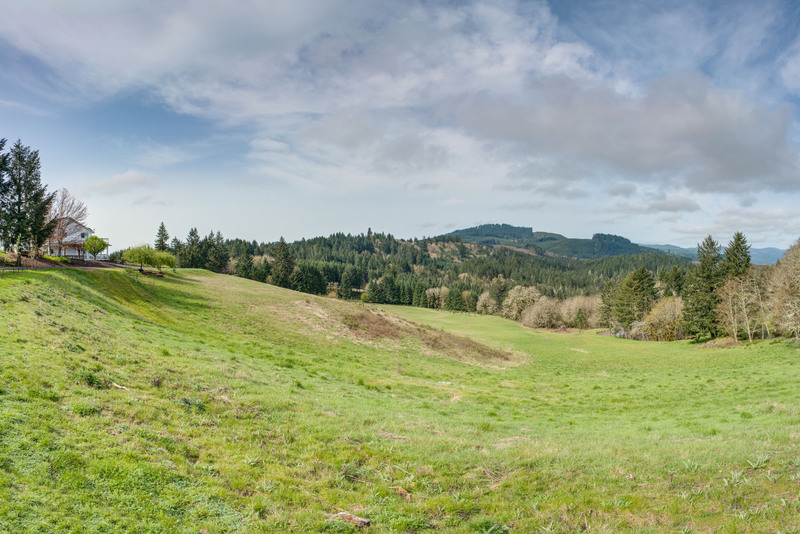 I'm enjoying the most perfect tranquility, free from all worries, and in consequence would like to stay this way forever, in a peaceful corner of the countryside like this. 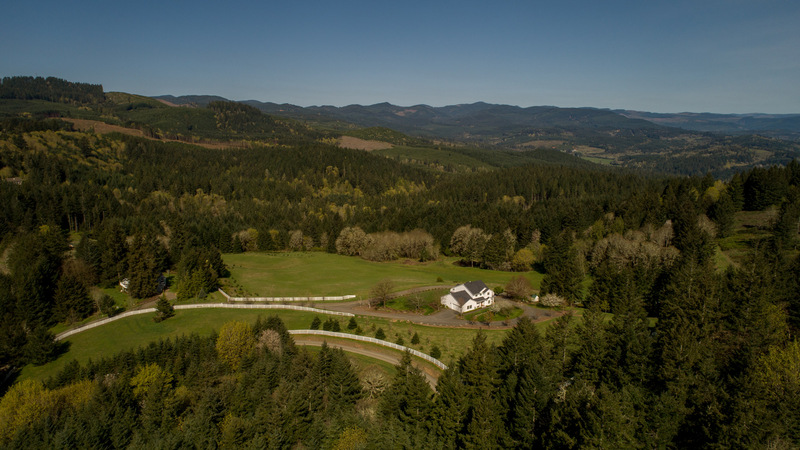 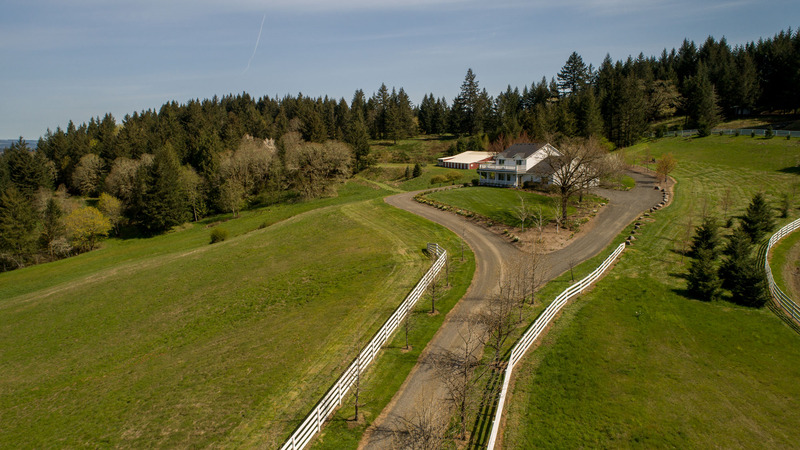 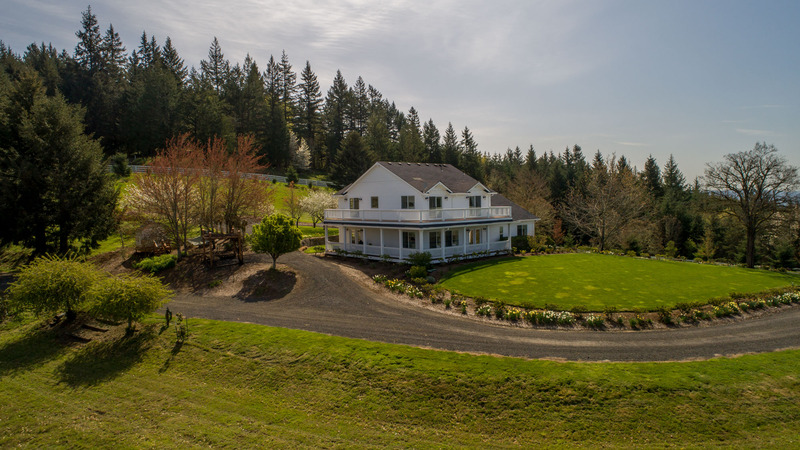 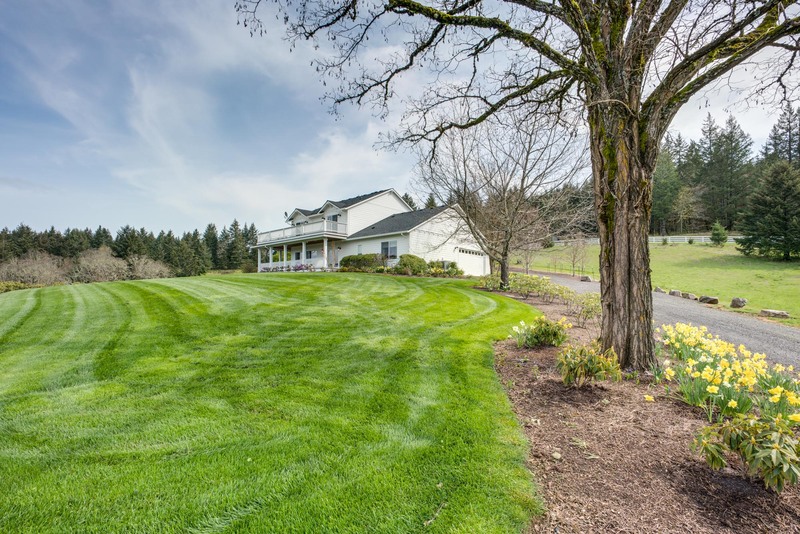 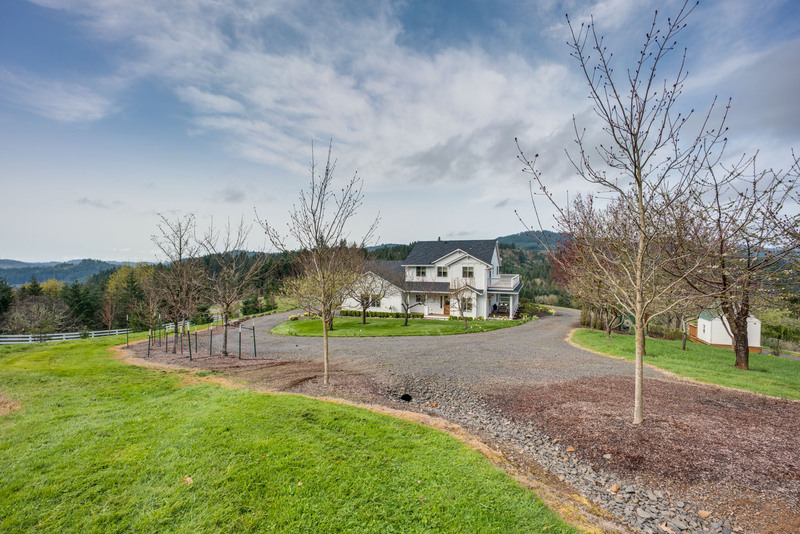 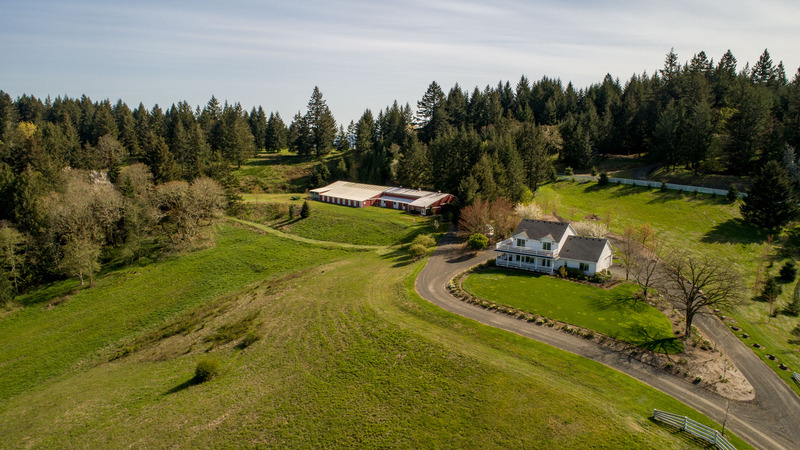 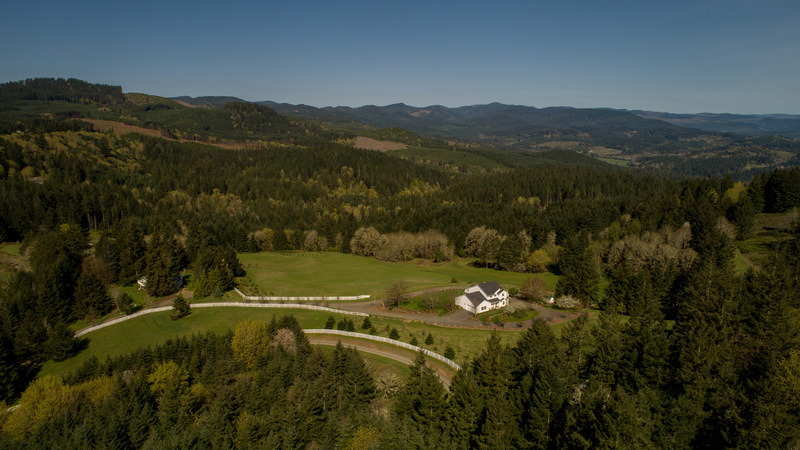 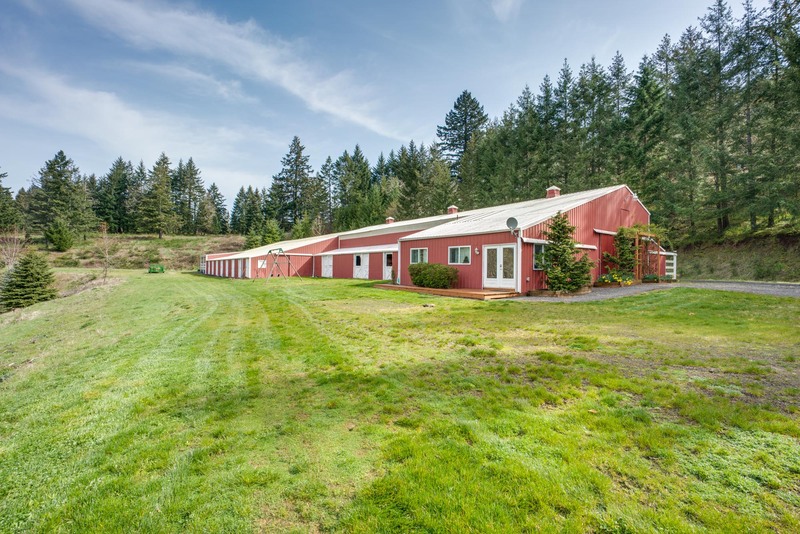 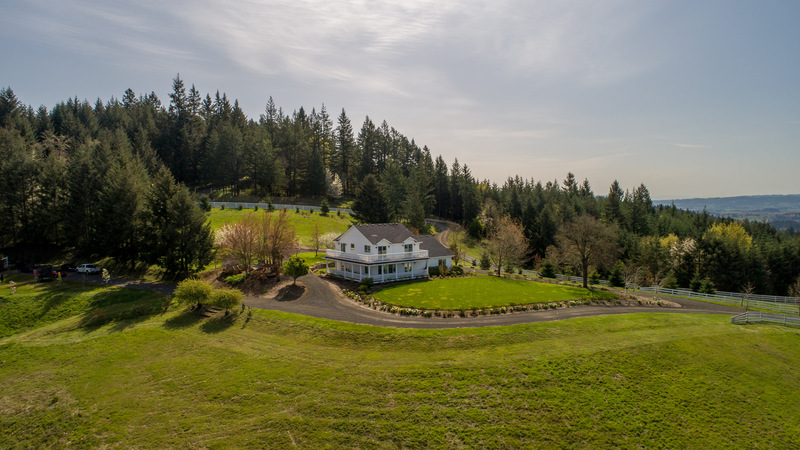 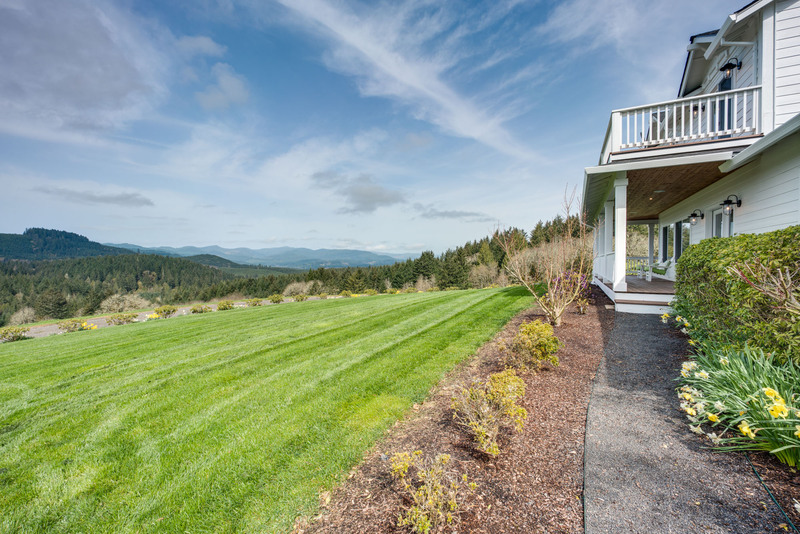 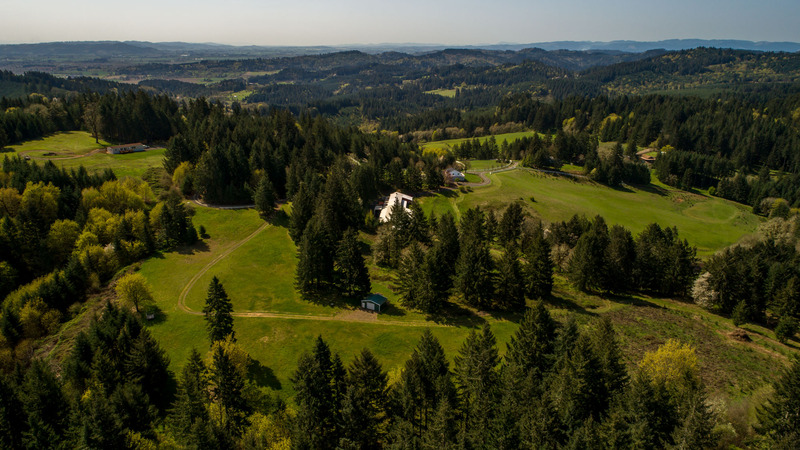 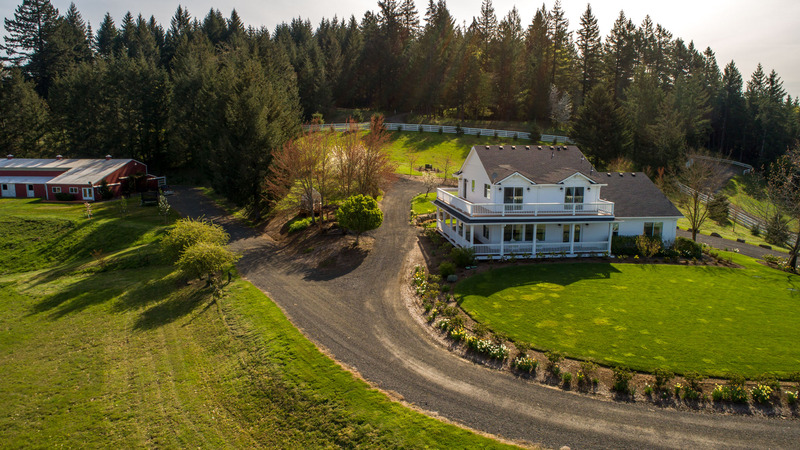 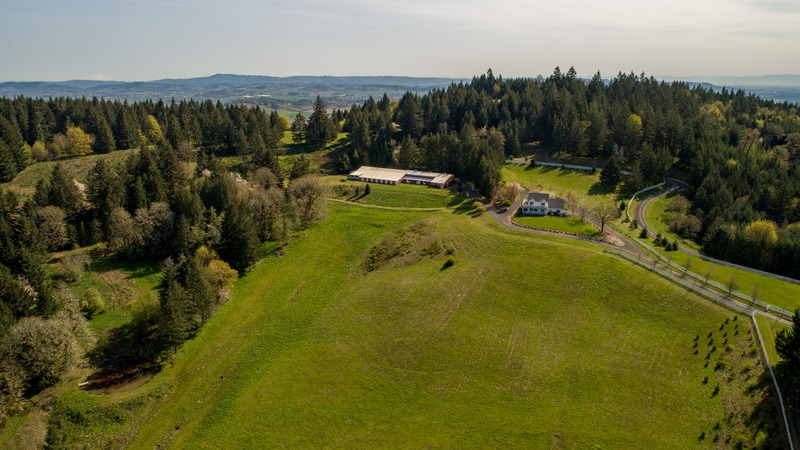 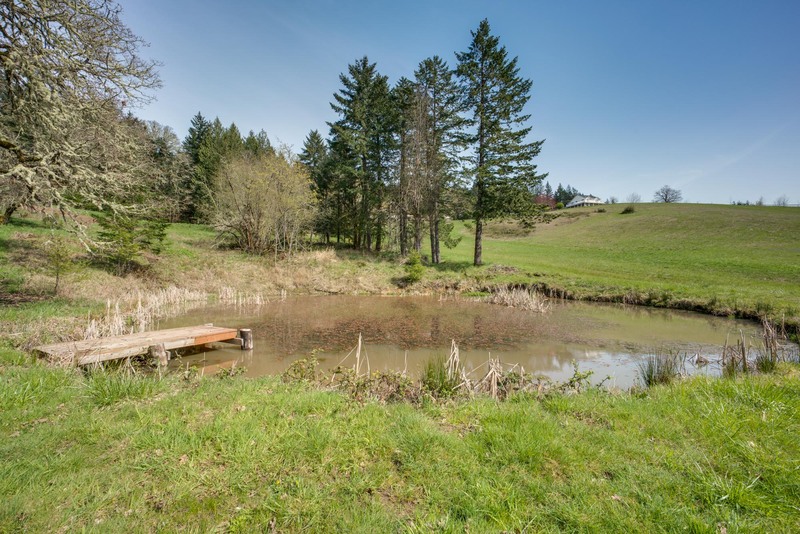 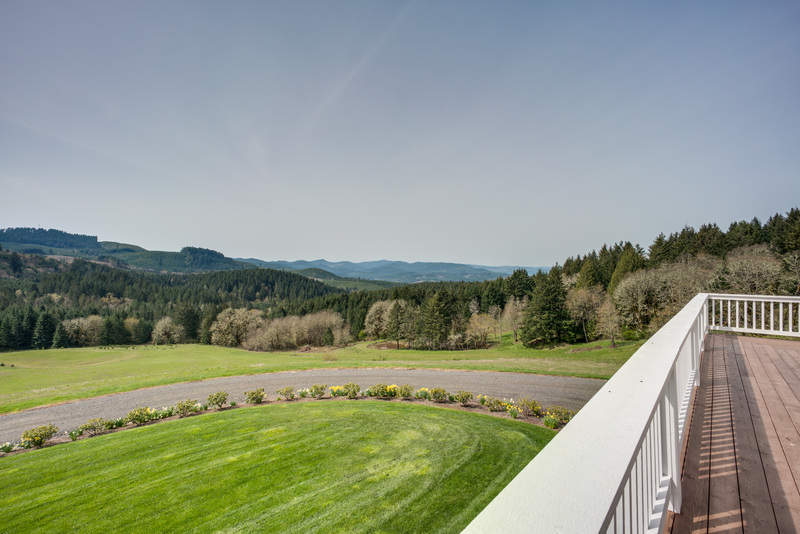 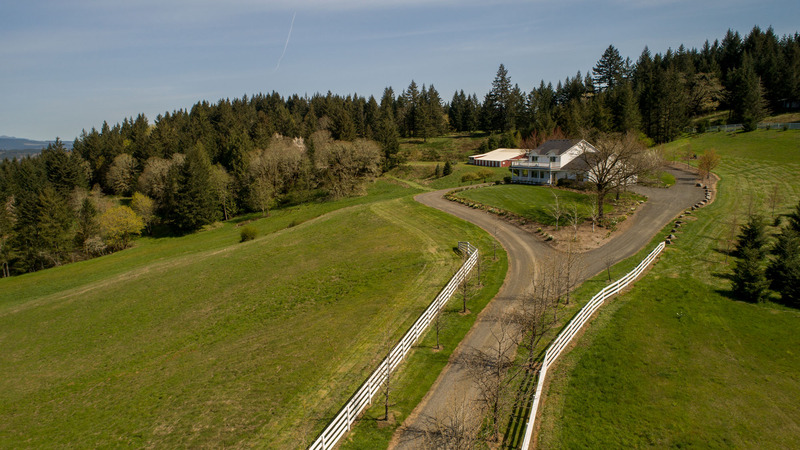 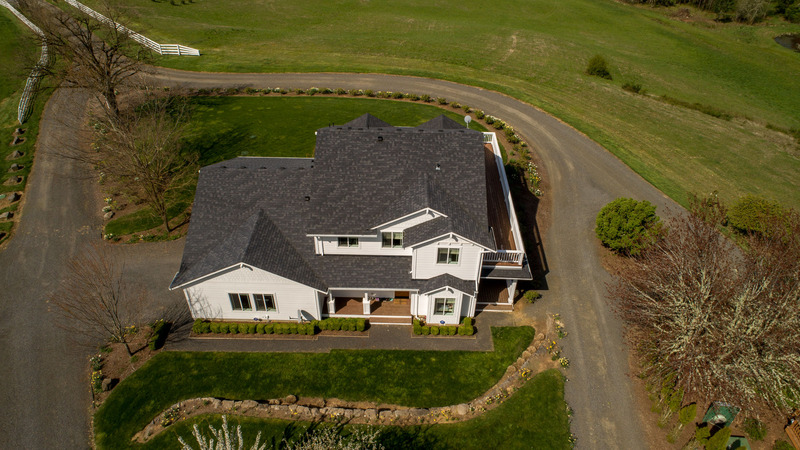 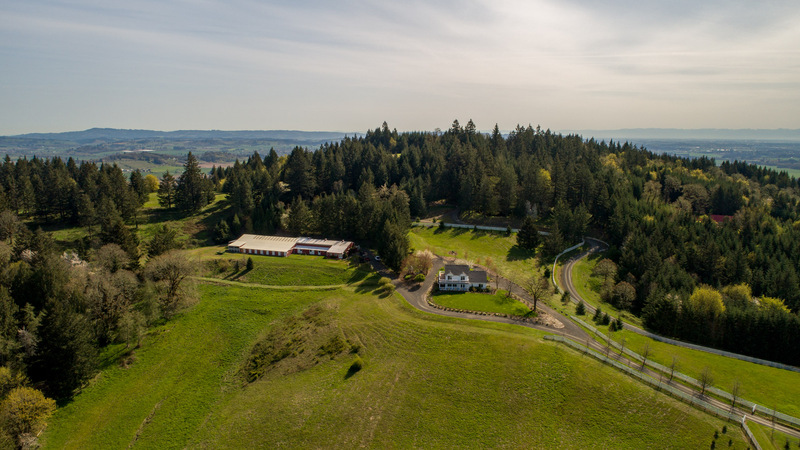 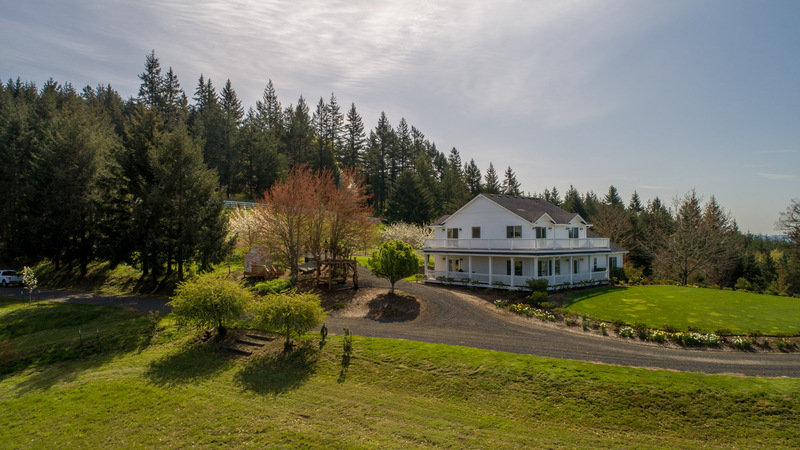 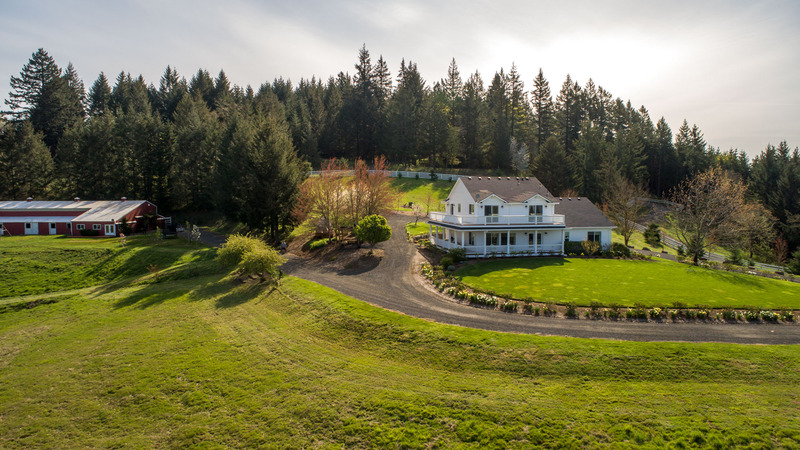 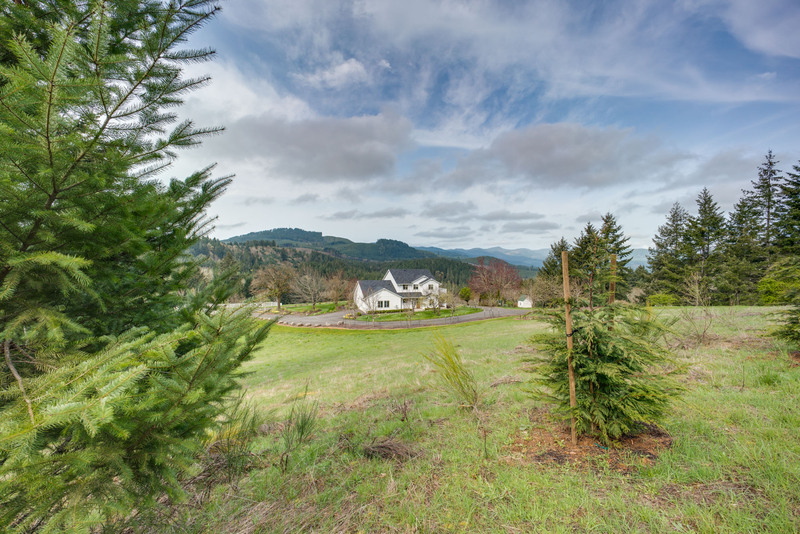 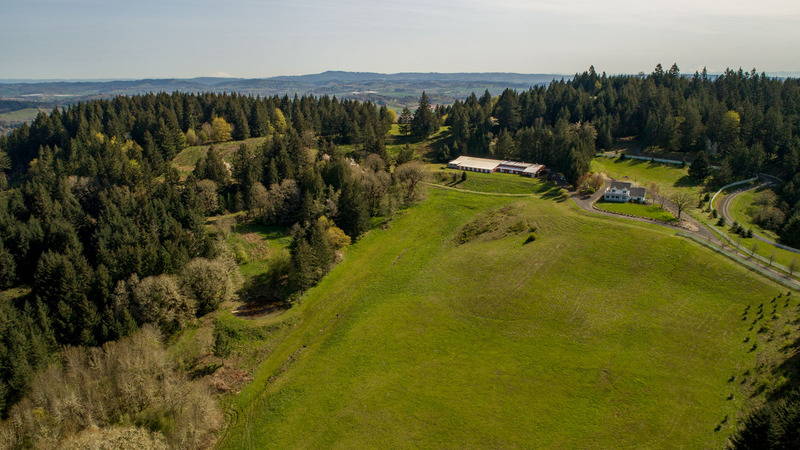 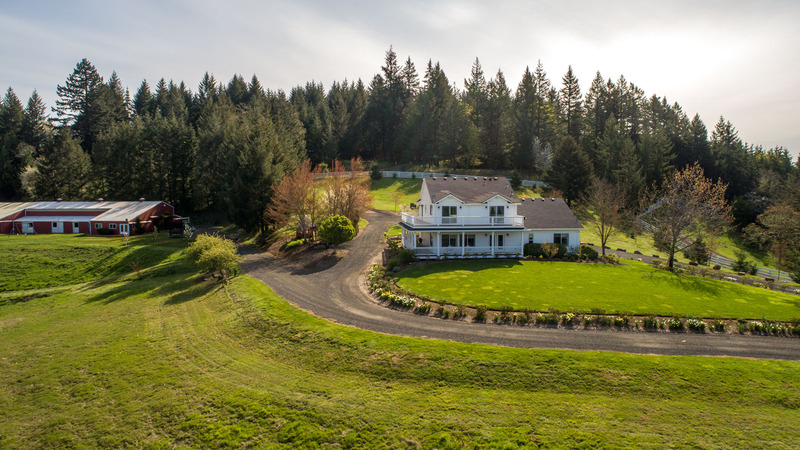 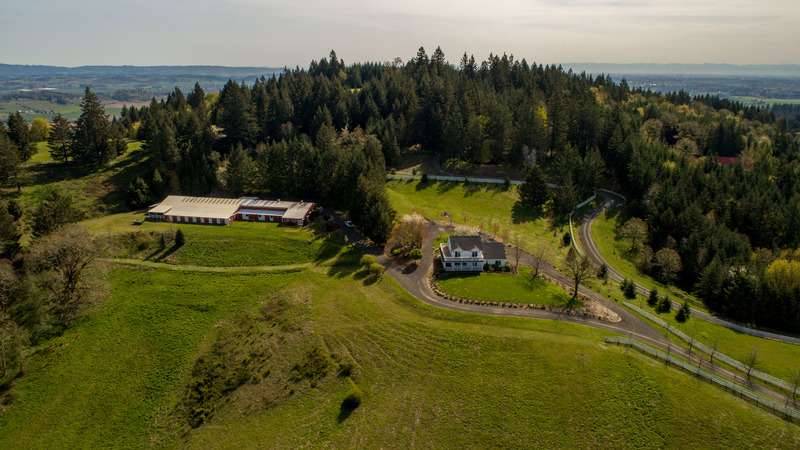 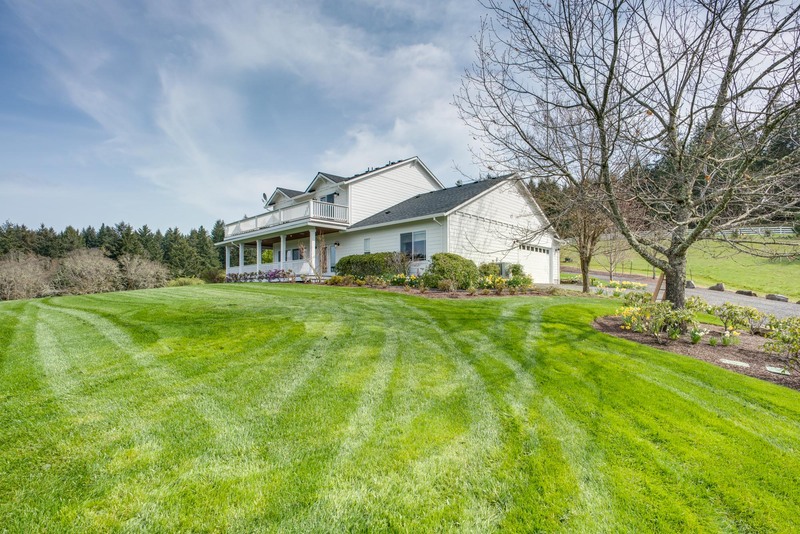 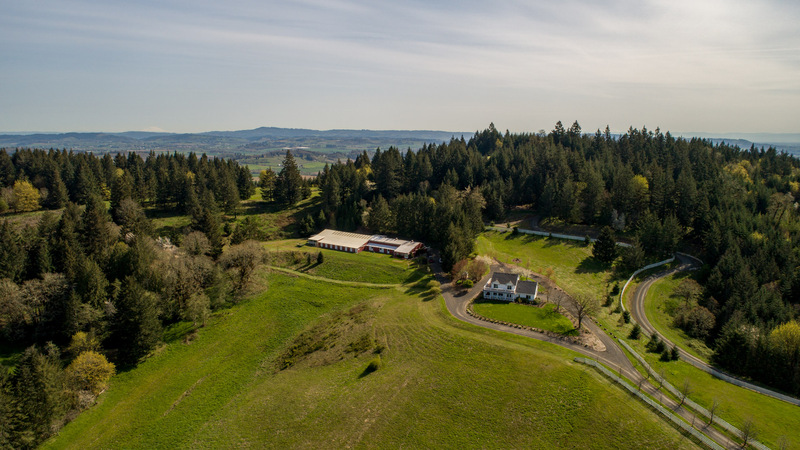 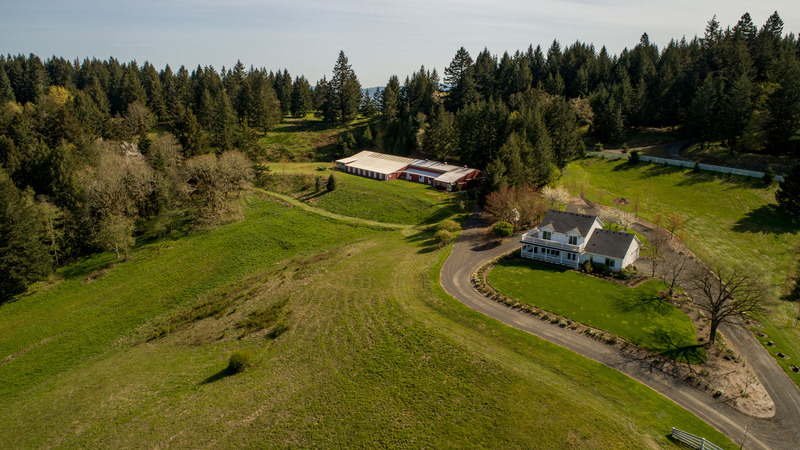 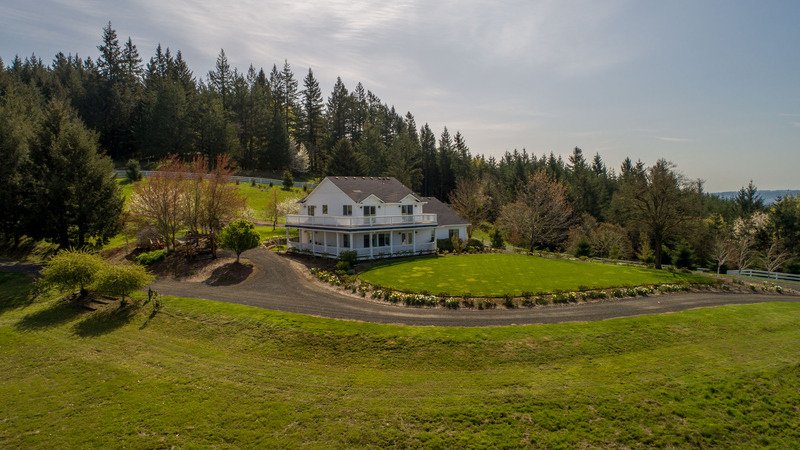 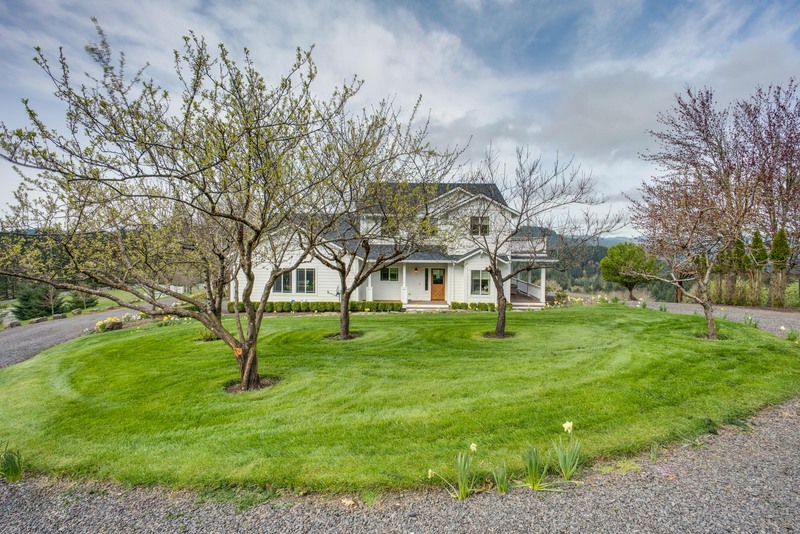 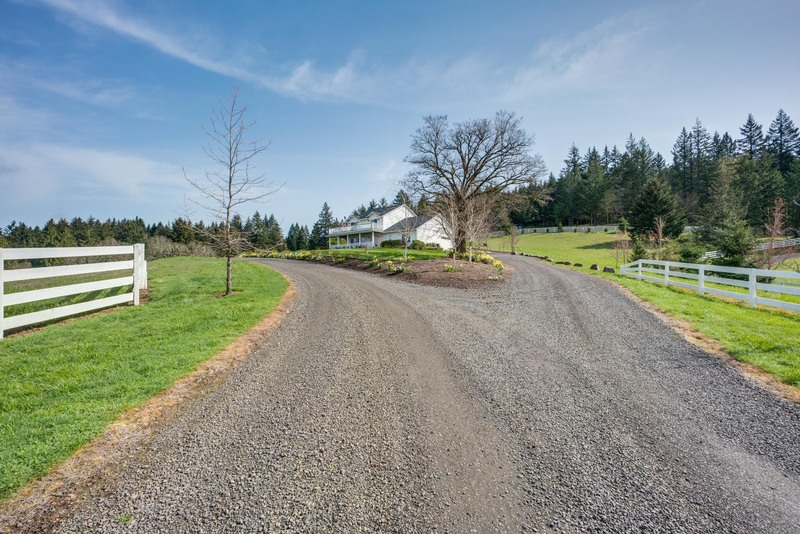 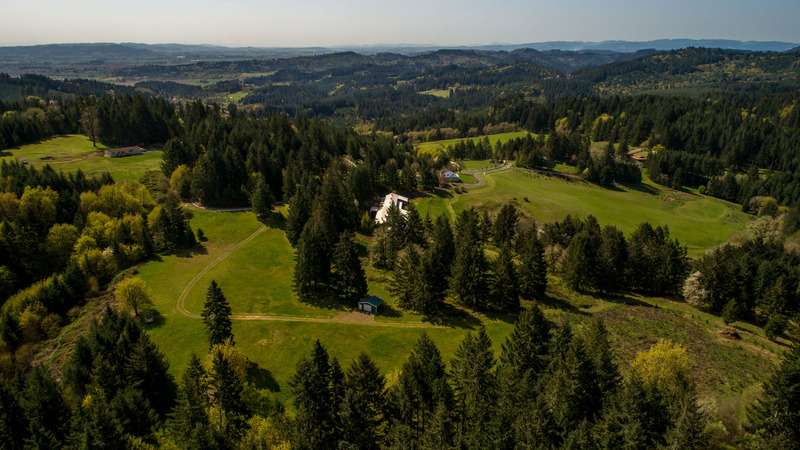 This remarkable, secluded 40 acre estate is one of the hidden jewels of Oregon-and in close proximity to both Portland and McMinnville (an acclaimed hub for the food and wine industries). 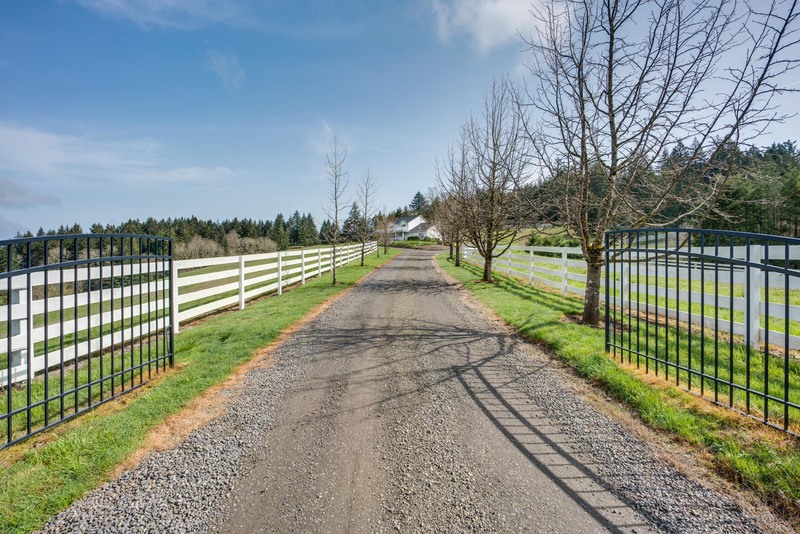 Approaching from the tree-lined, gated driveway you’ll take in the immediate tranquility and peace of the location; the trees, the ponds, the gentle landscape. 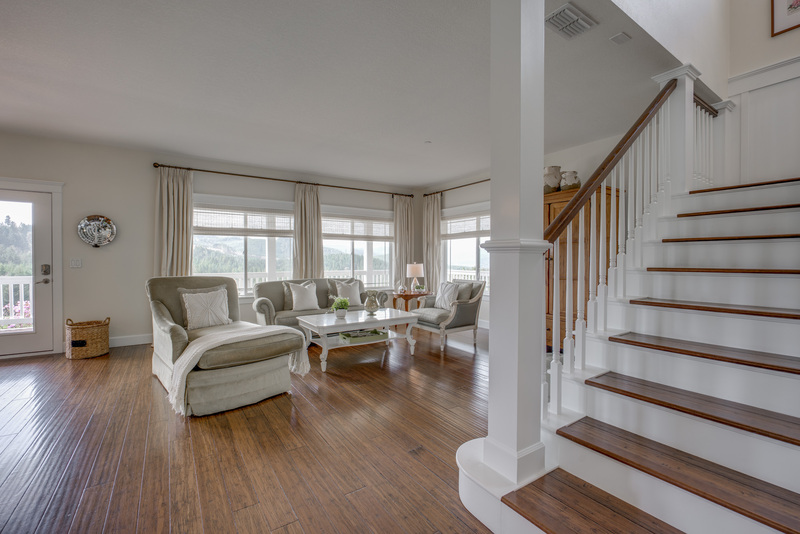 Just a few moments afterward you’ll realize… you’re home. 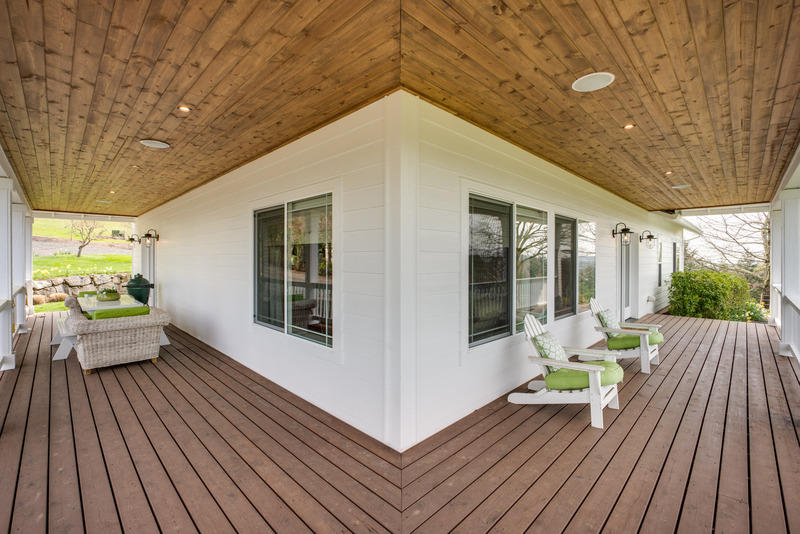 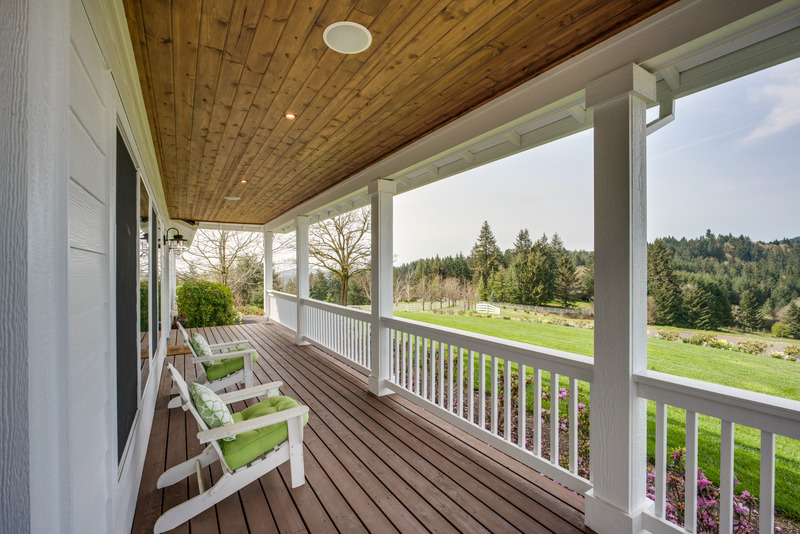 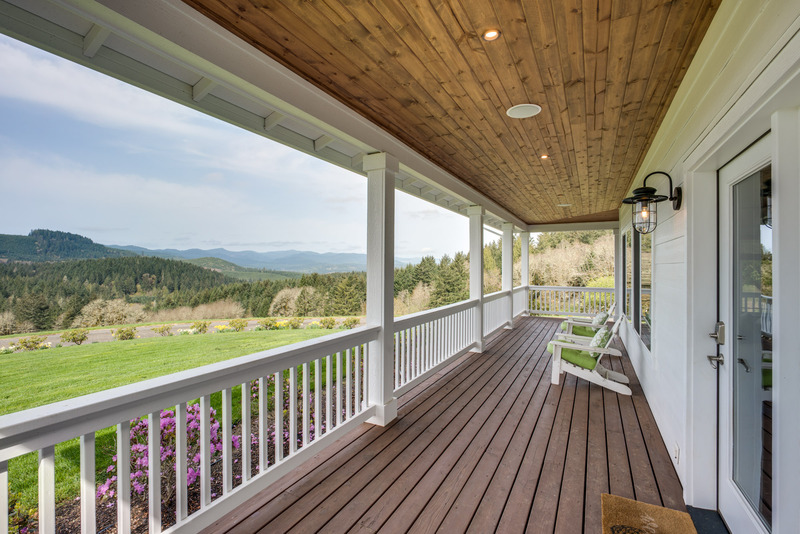 This stunning 2,690 square foot custom-designed home features amazing wrap-around porches on both levels, where you can enjoy wonderful views of the countryside. 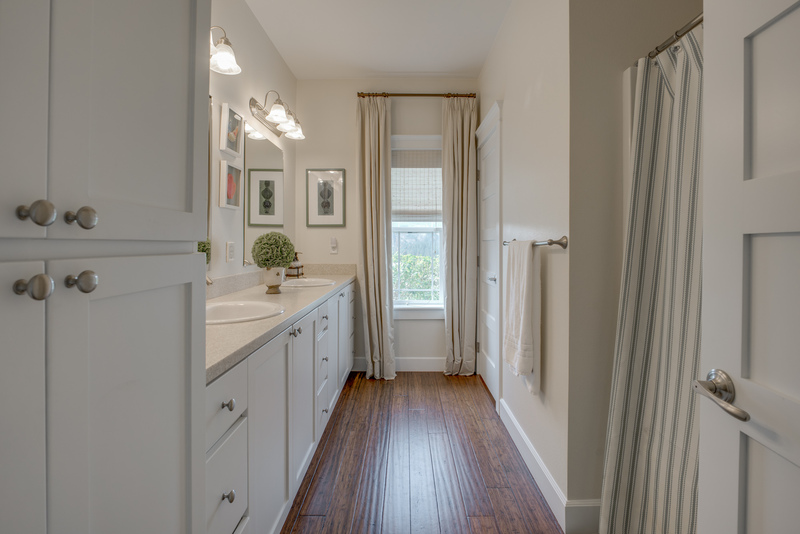 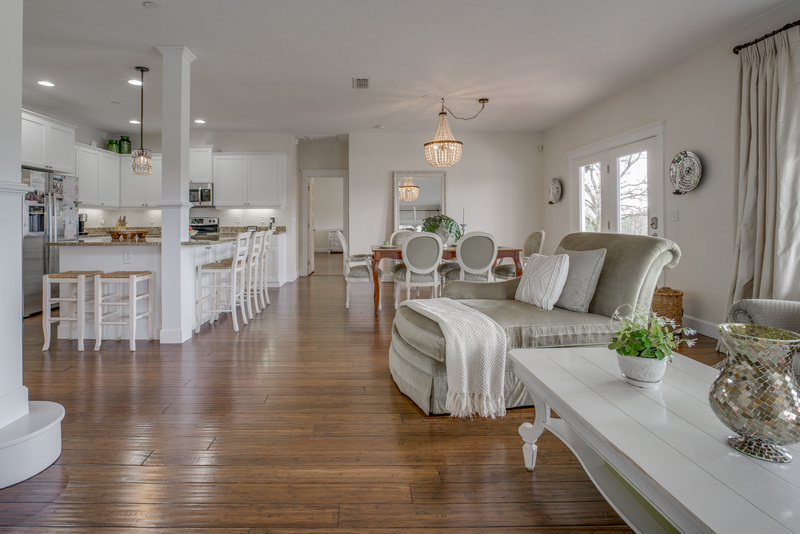 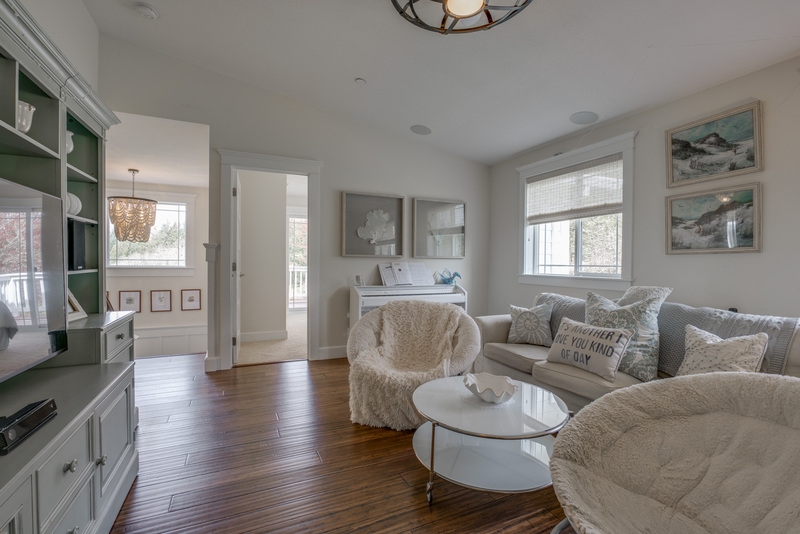 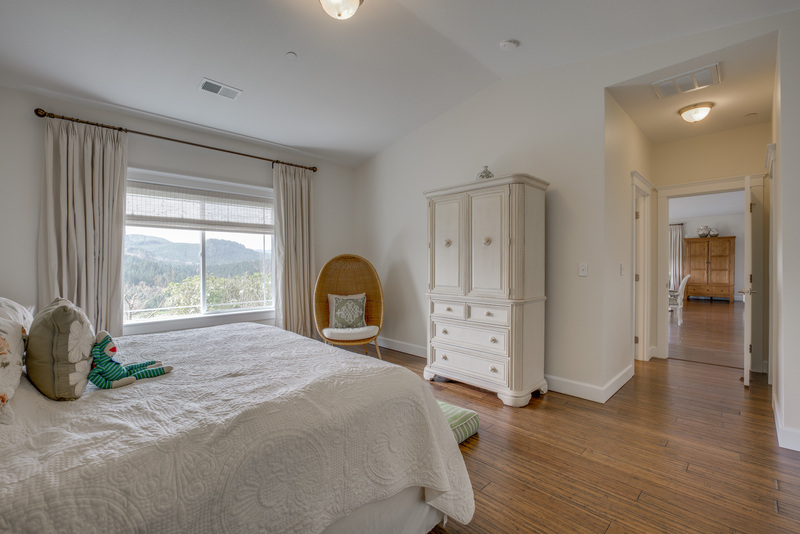 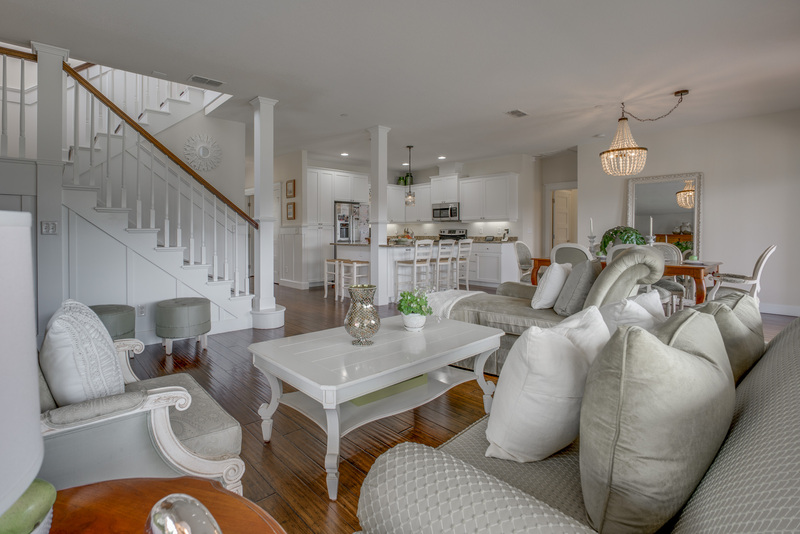 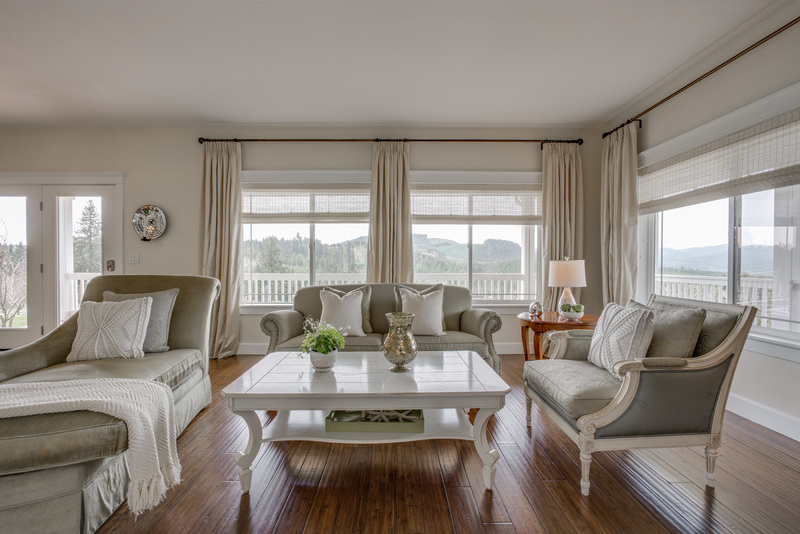 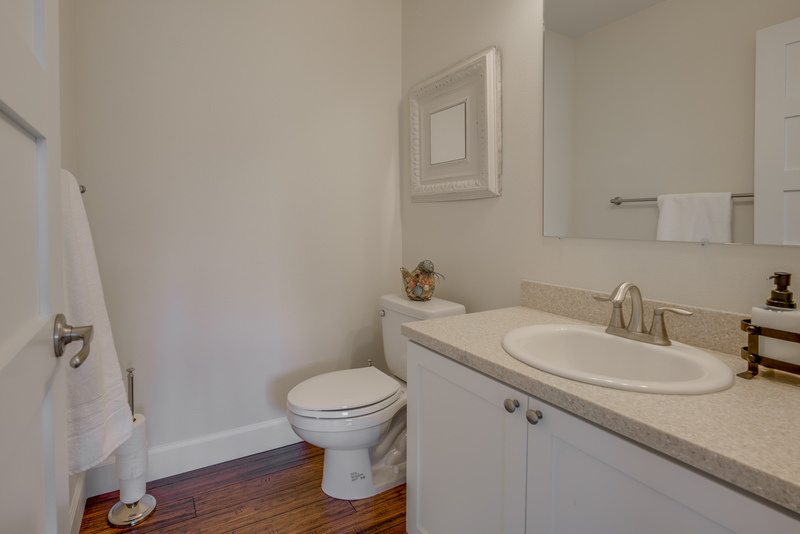 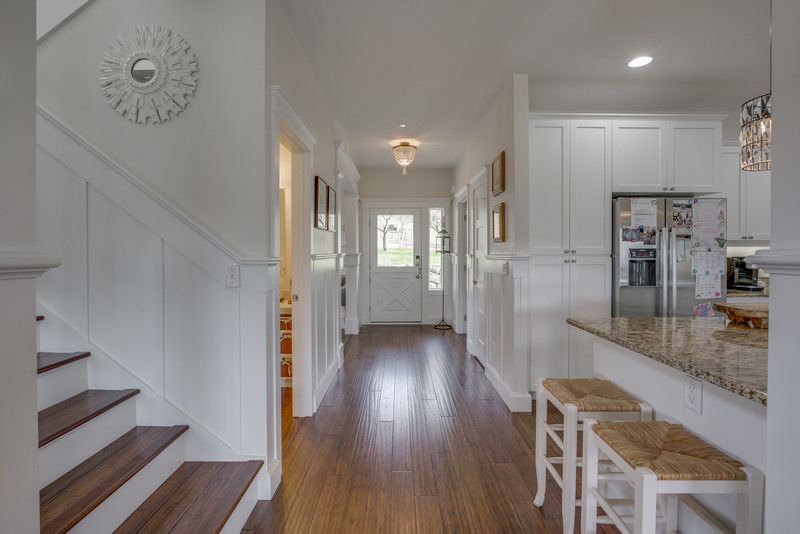 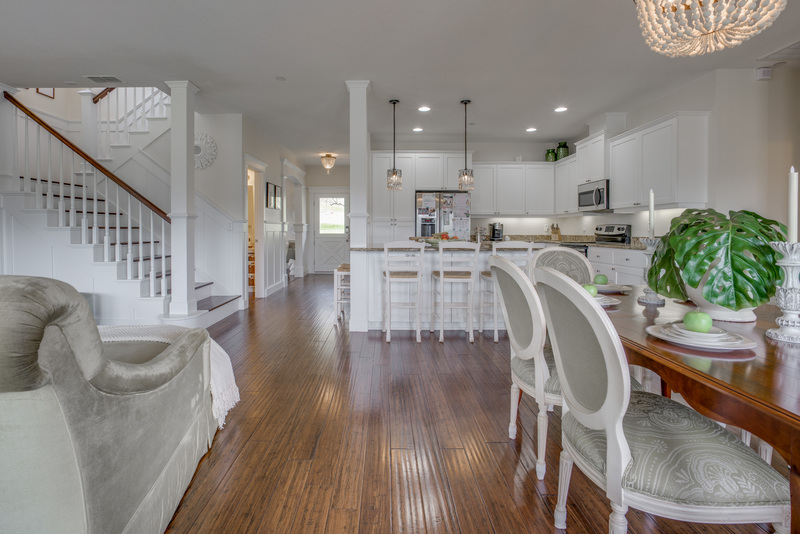 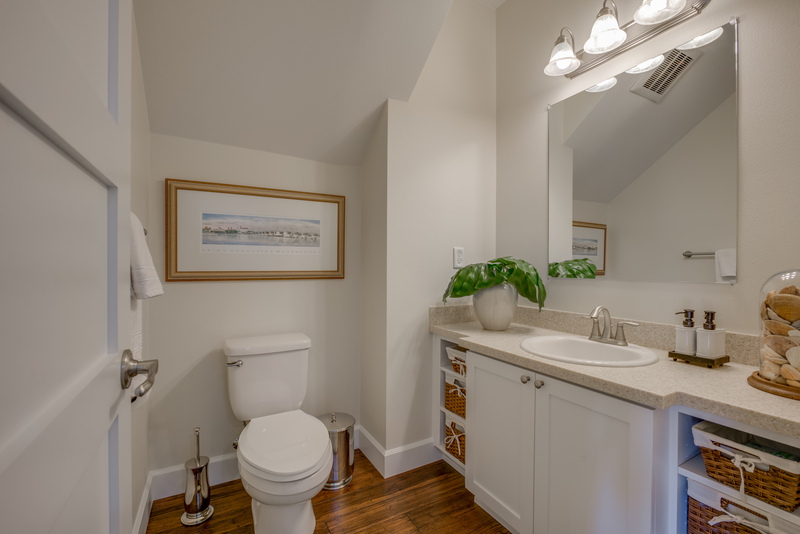 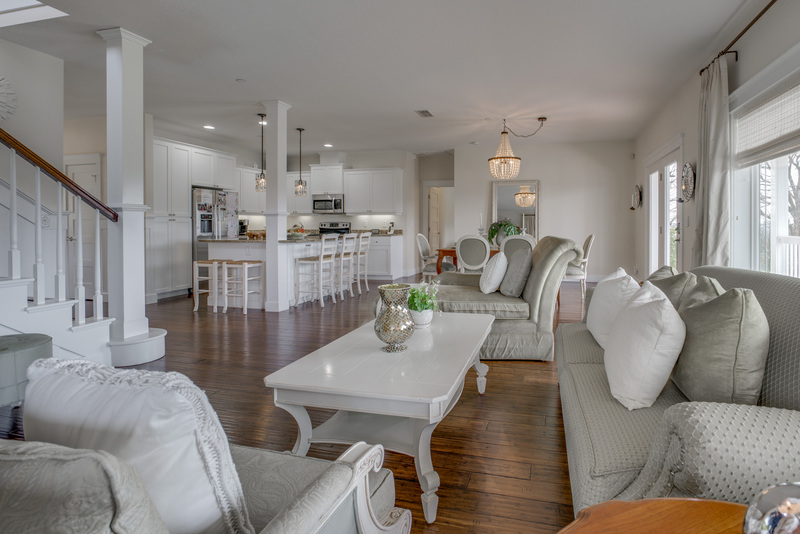 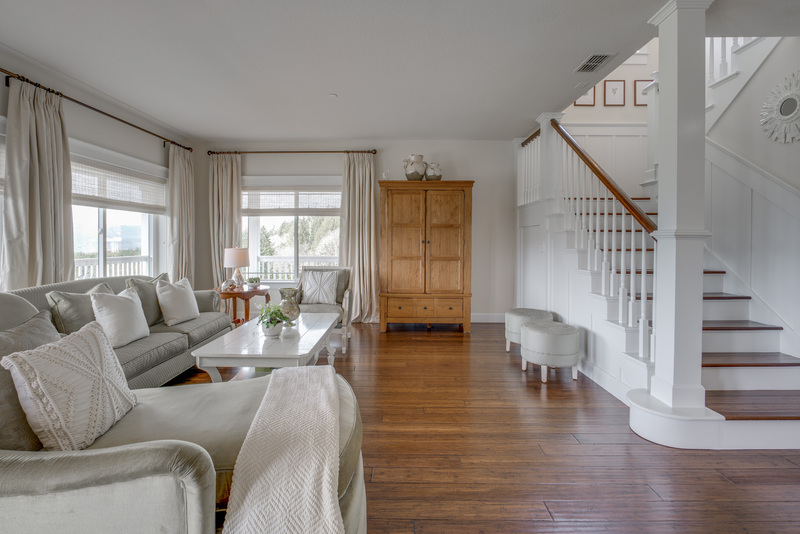 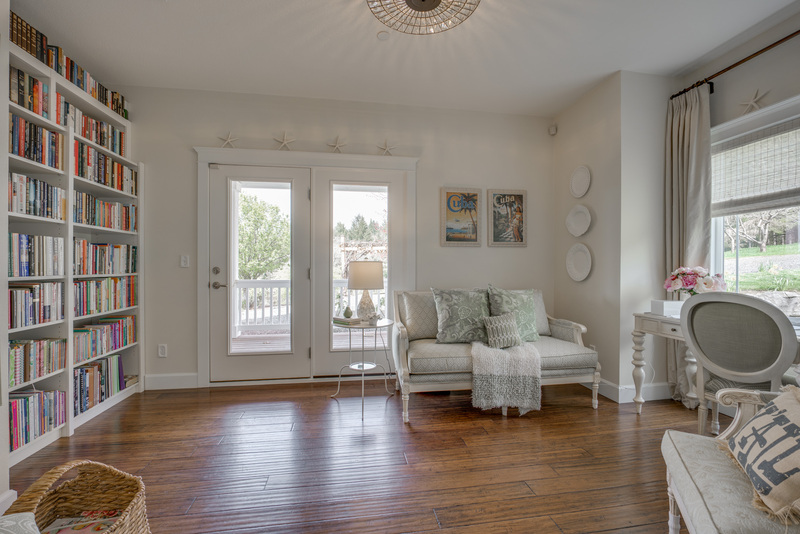 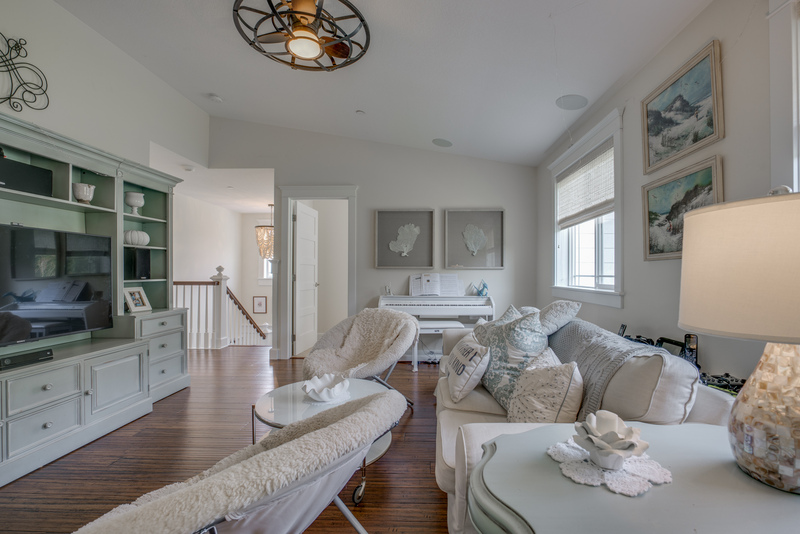 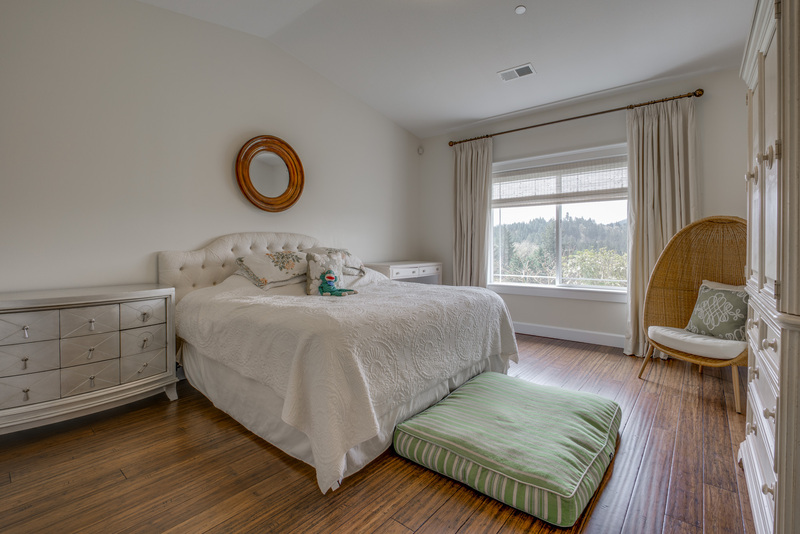 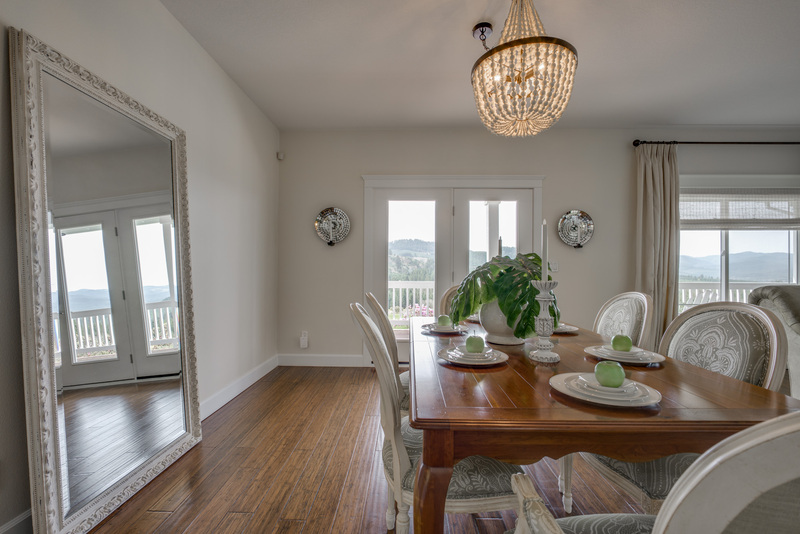 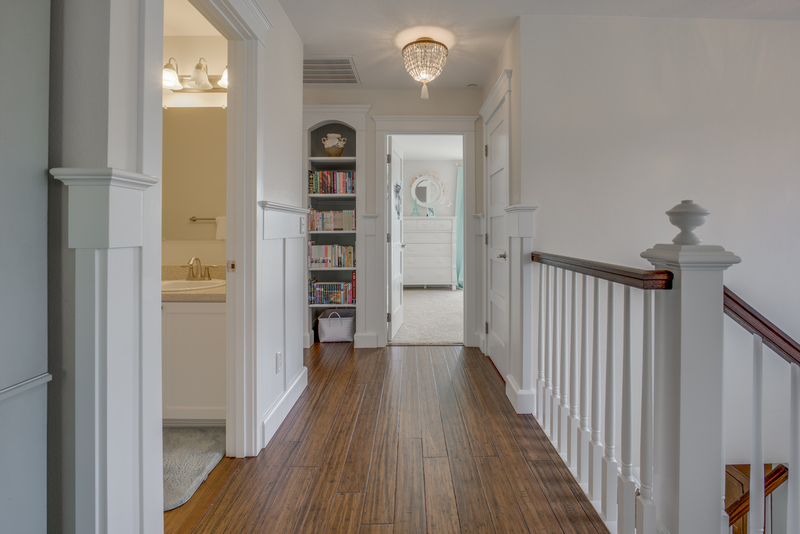 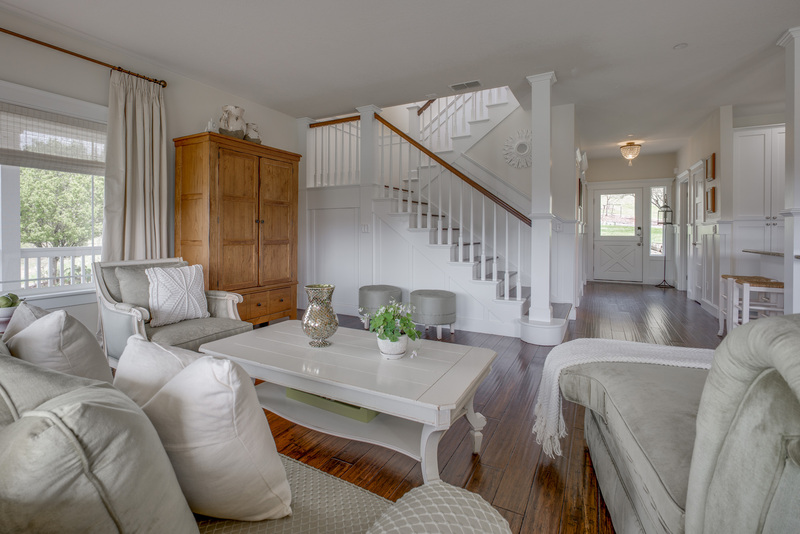 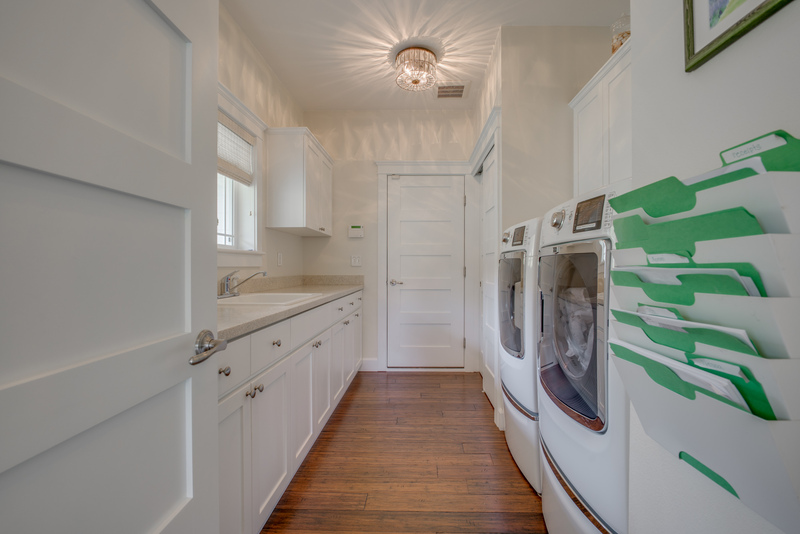 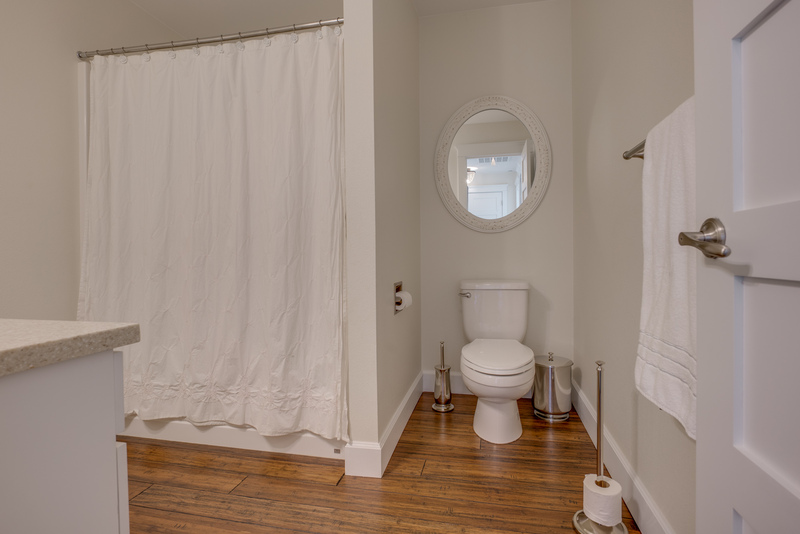 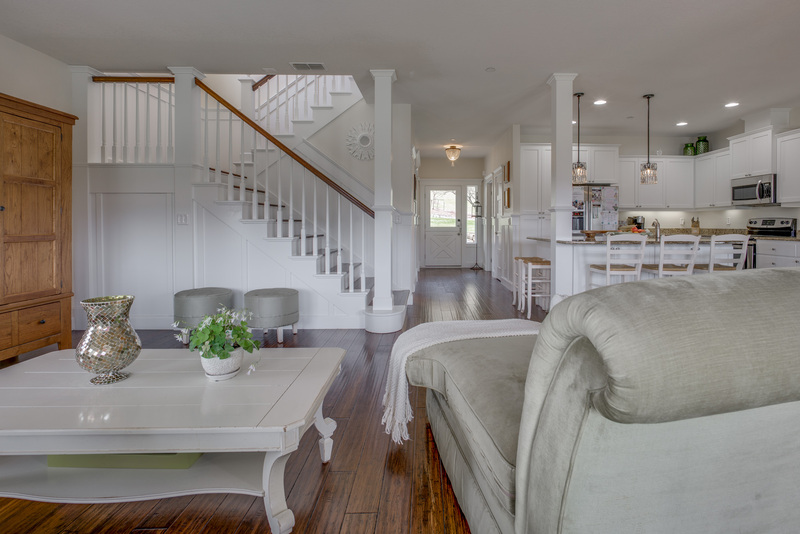 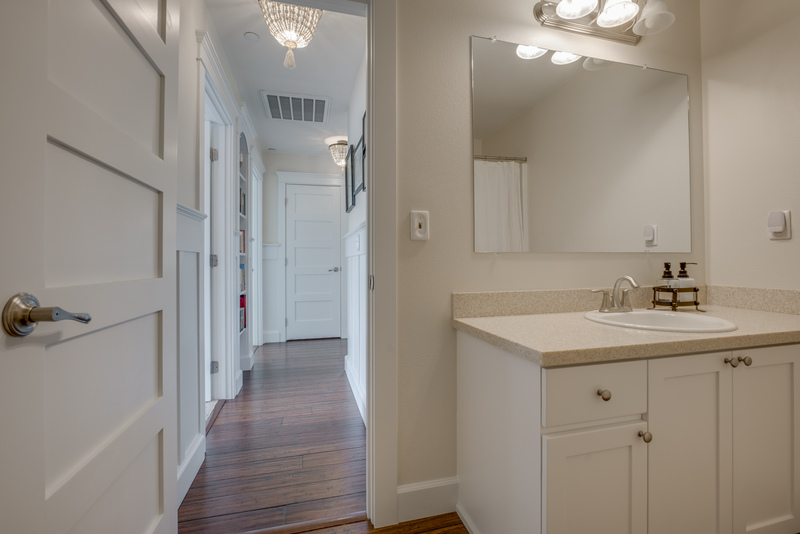 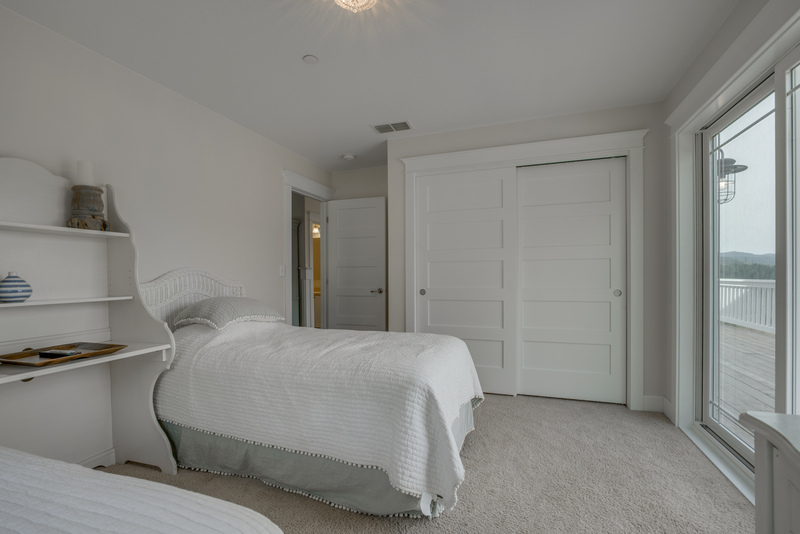 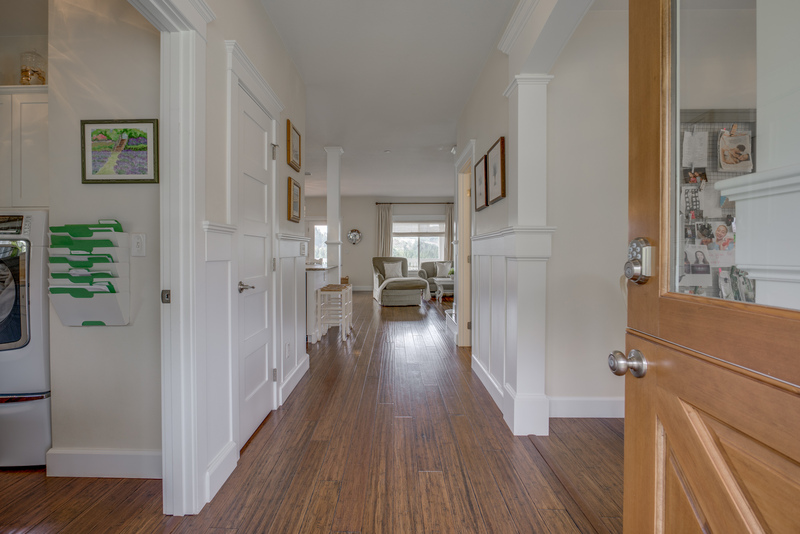 Inside, you’ll be greeted by bright, open space and warm wooden floors-a refined, welcoming feeling of livable elegance that reverberates throughout the house. 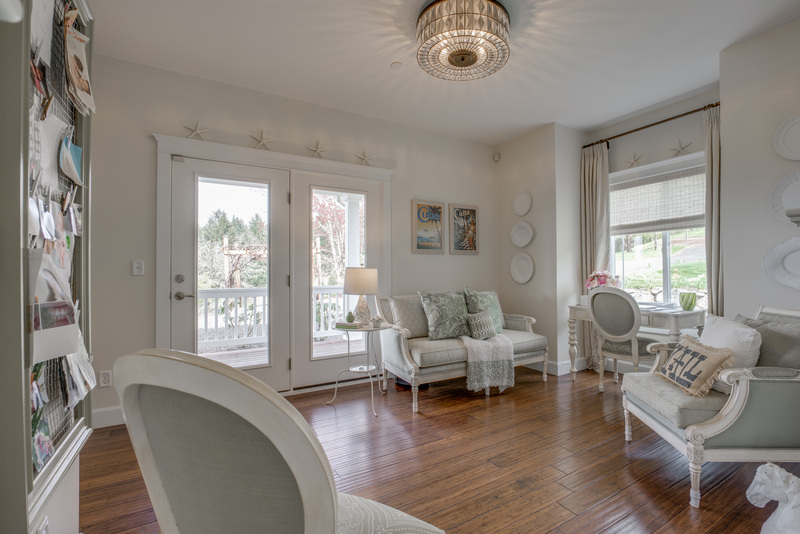 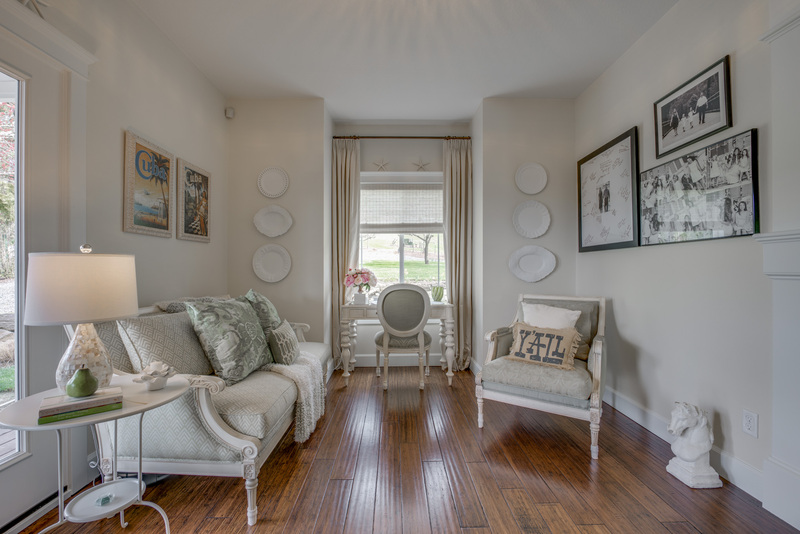 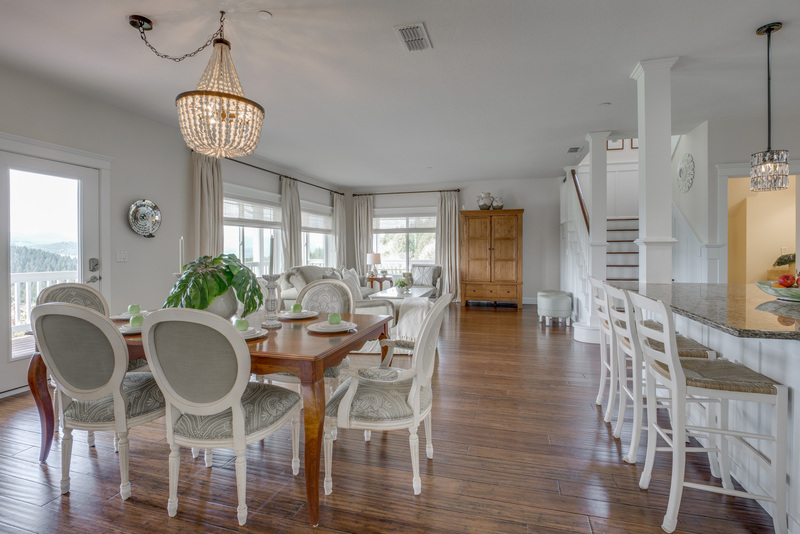 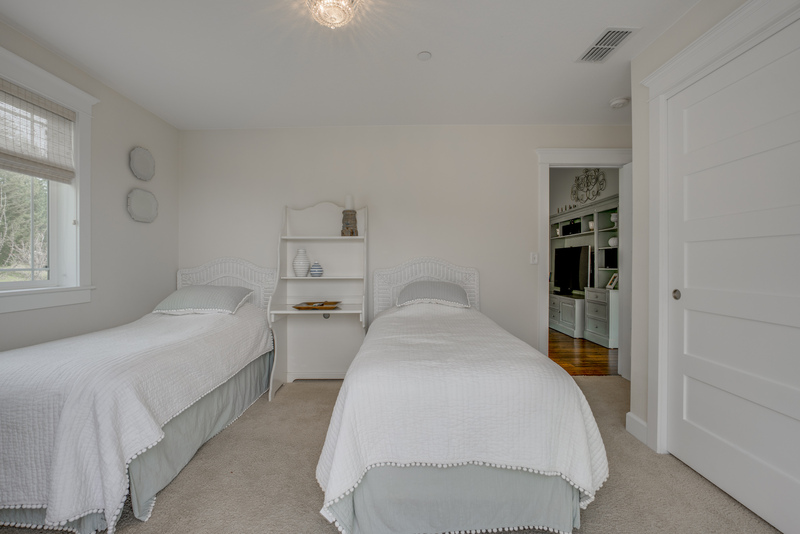 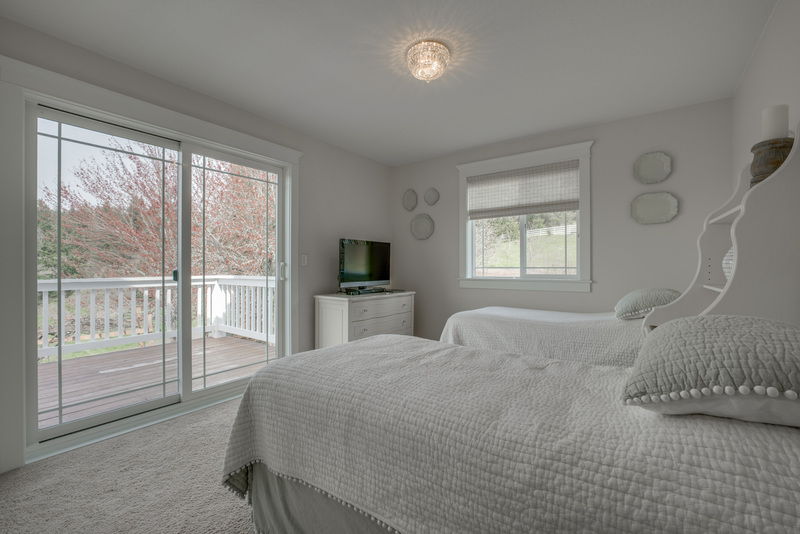 The residence has been customized with amazing woodwork, elegant high-end finishes and has been meticulously maintained. 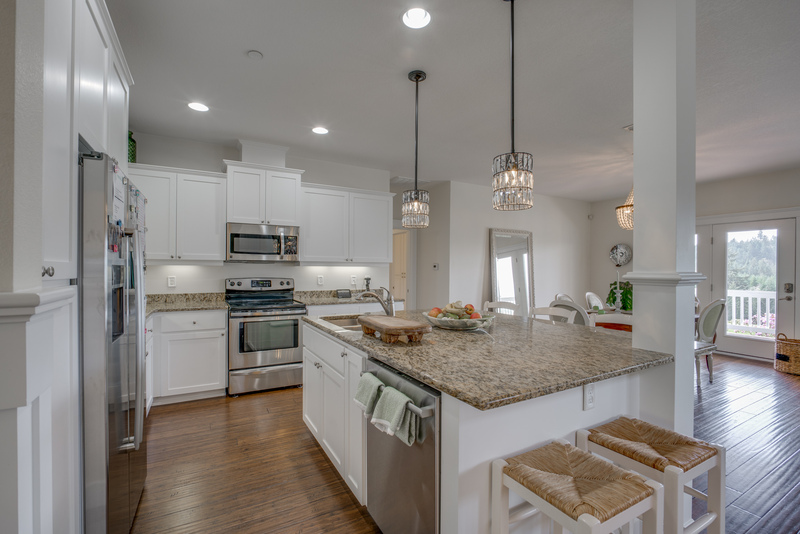 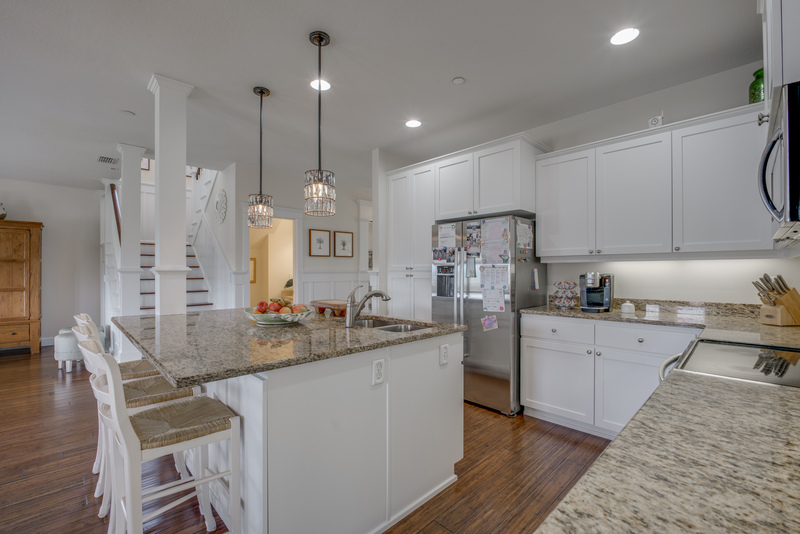 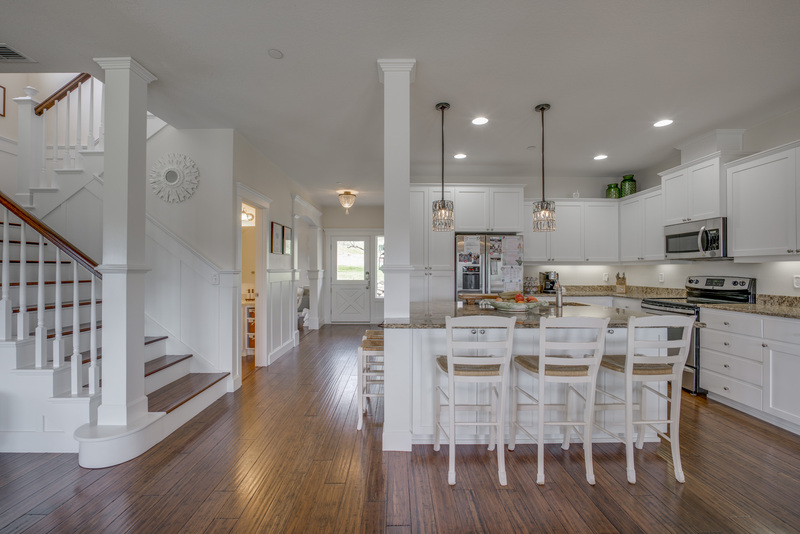 An open-concept kitchen promises an easy family breakfast routine as well as robust entertainment opportunities-the ultimate in country estate living. 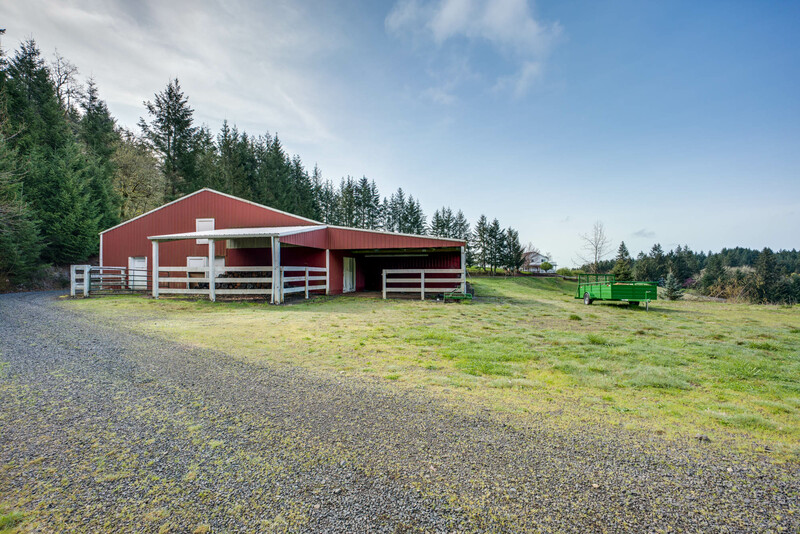 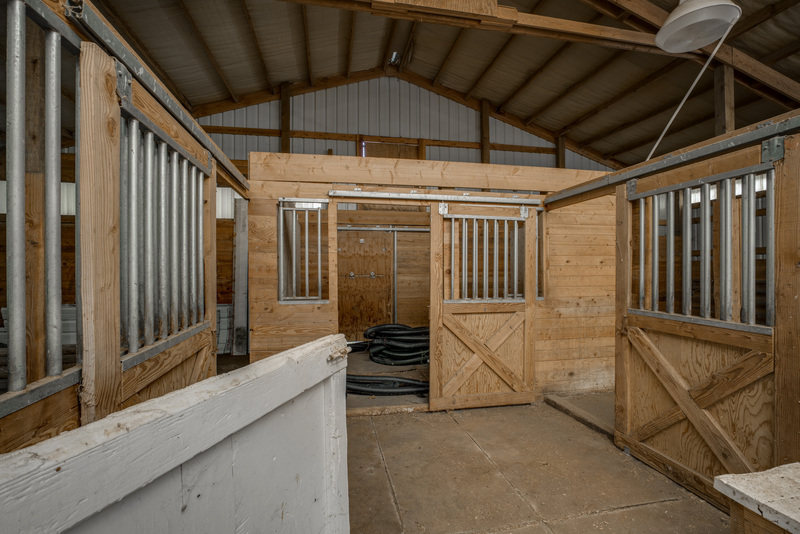 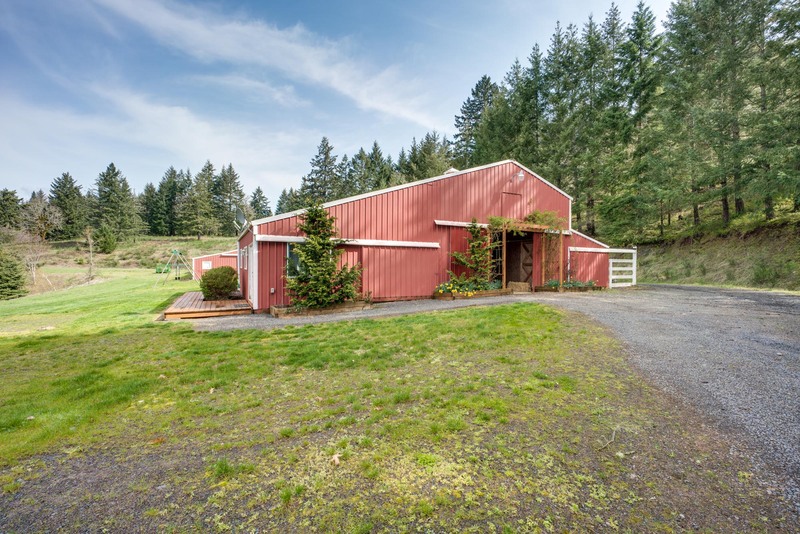 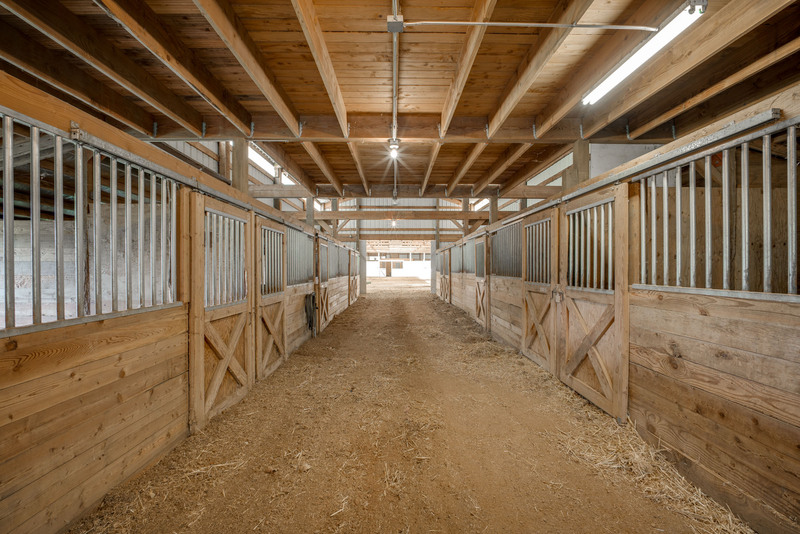 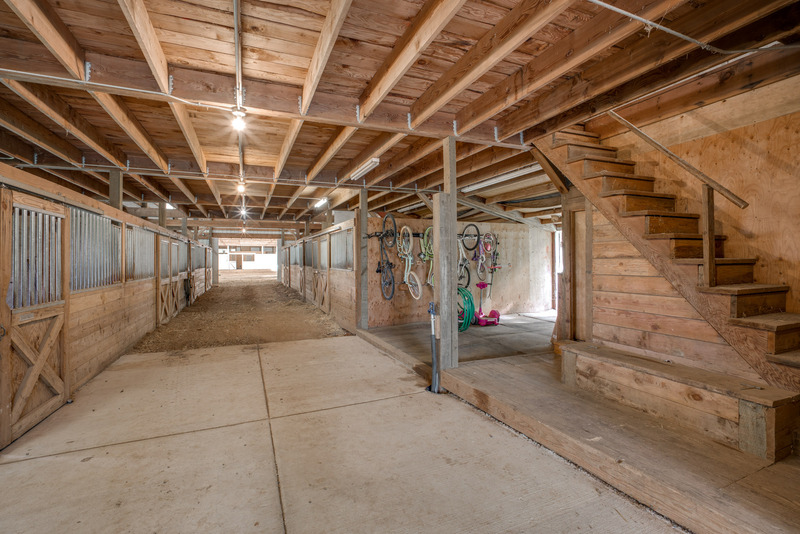 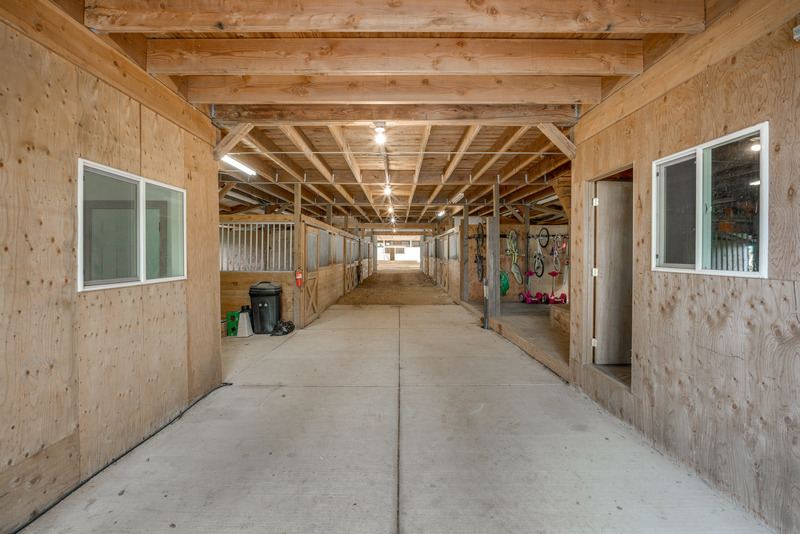 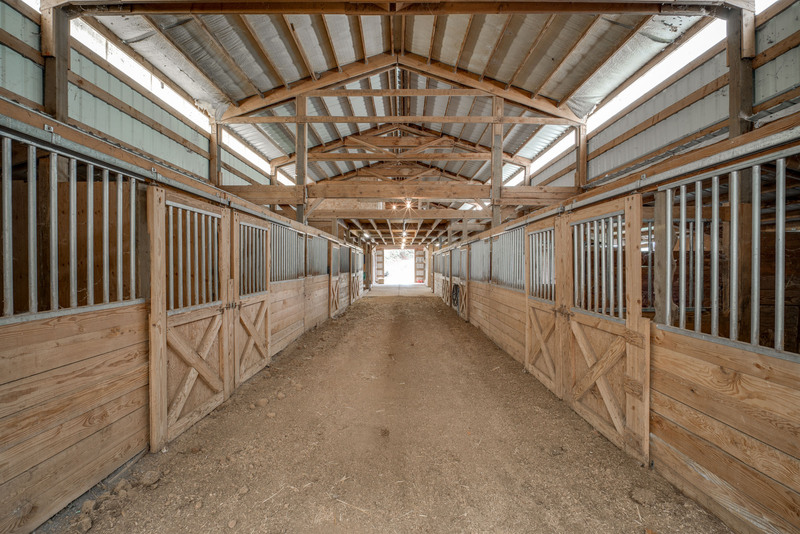 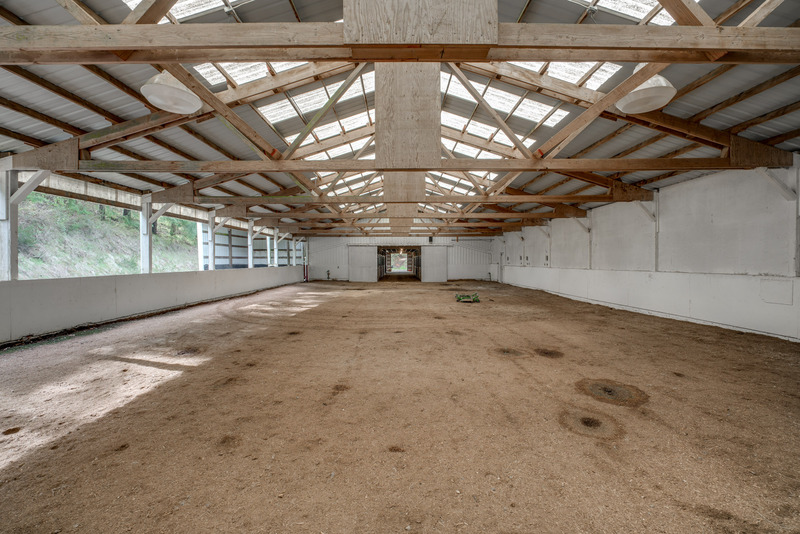 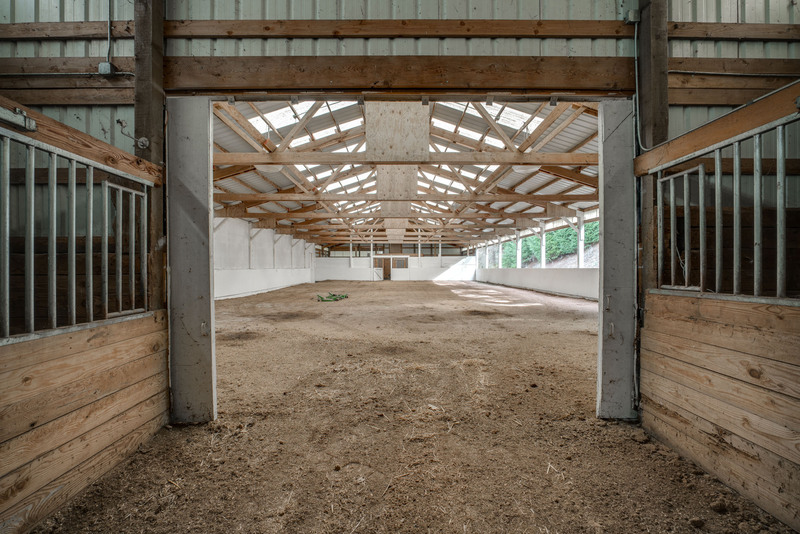 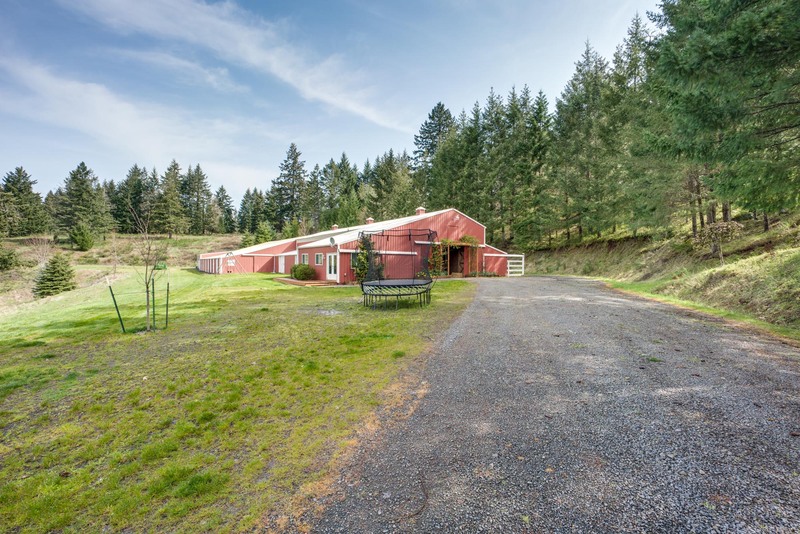 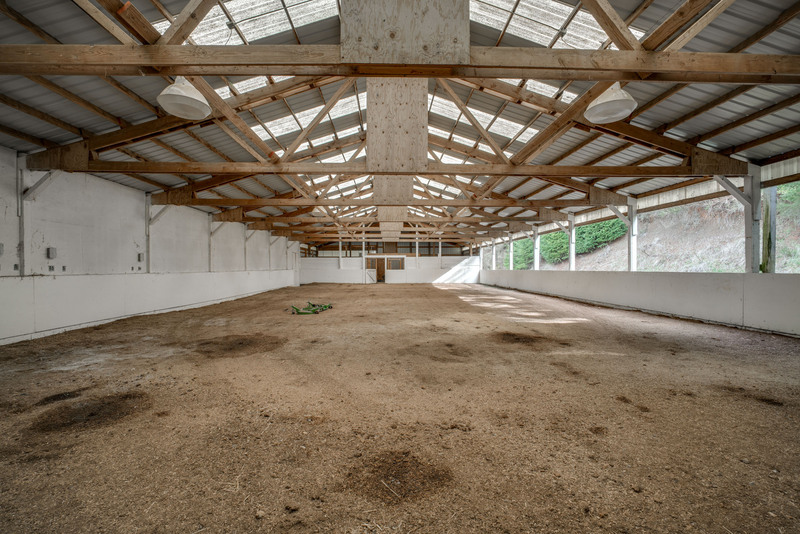 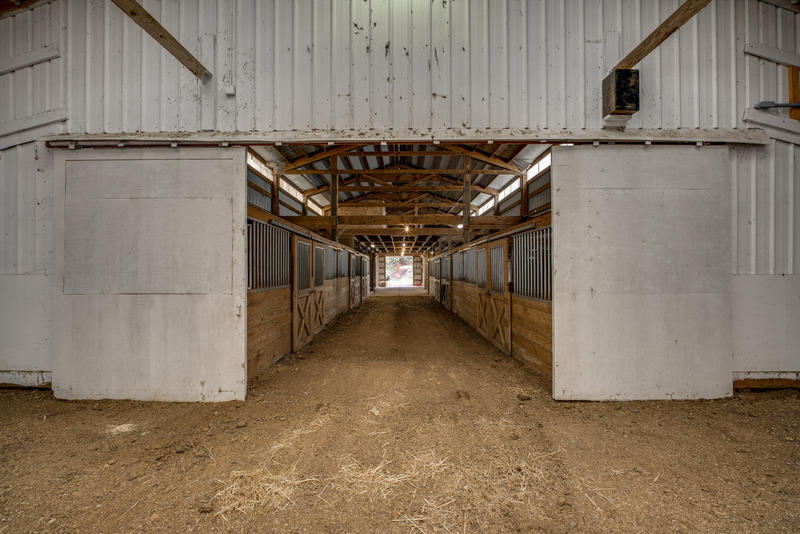 Outside, you’ll fine an enormous 22 stall barn complete with office space and truly impressive arena that’s more than perfect for any equestrian ambitions your family has or might already have. 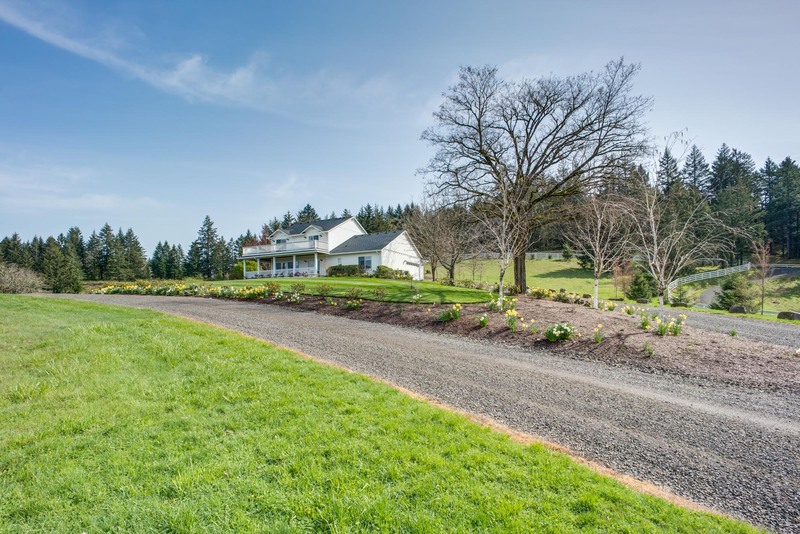 With approximately 20 plantable acres you could apply for a winery permit. 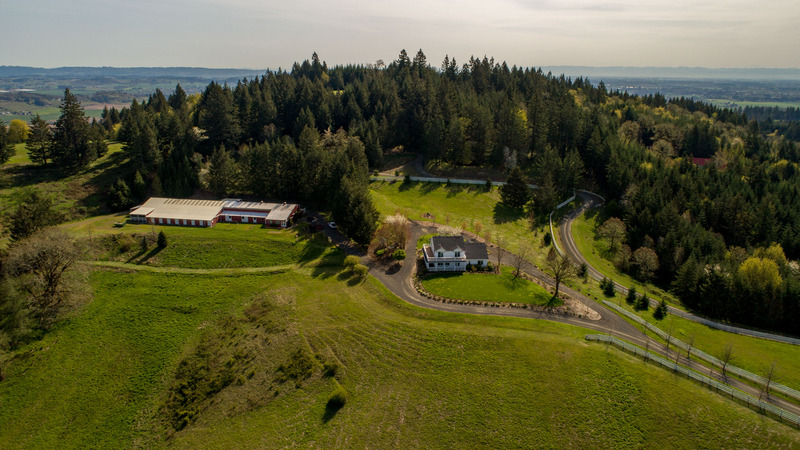 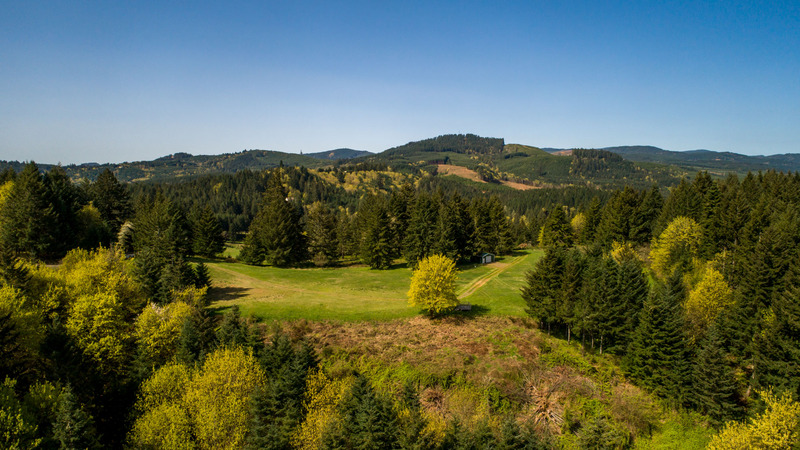 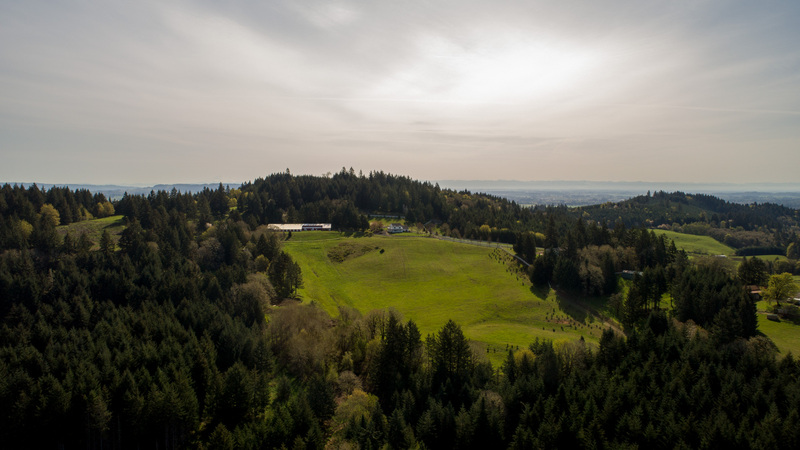 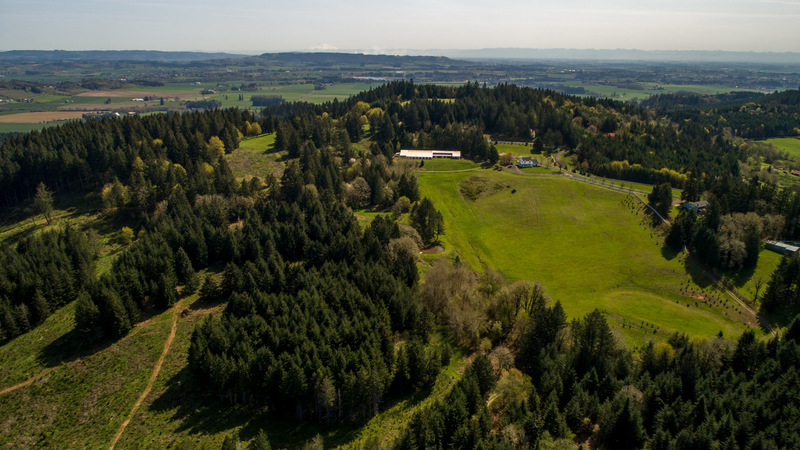 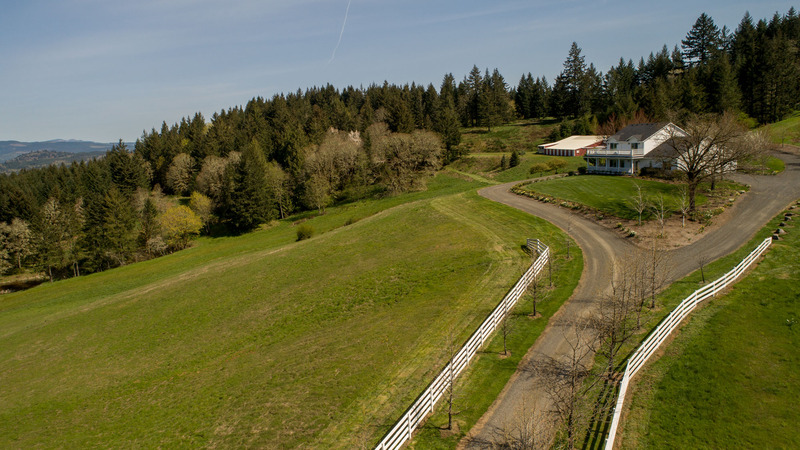 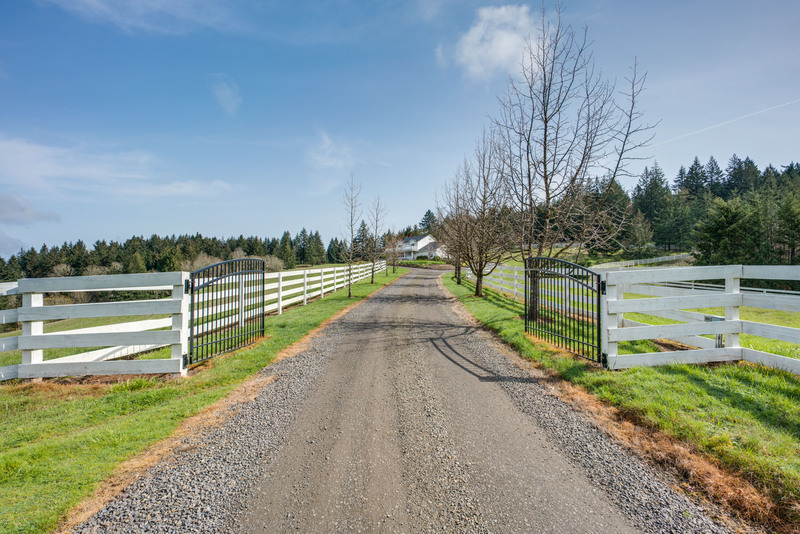 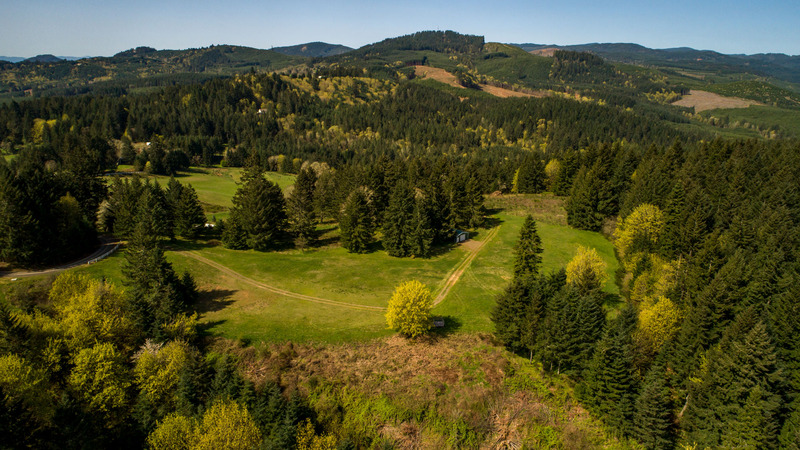 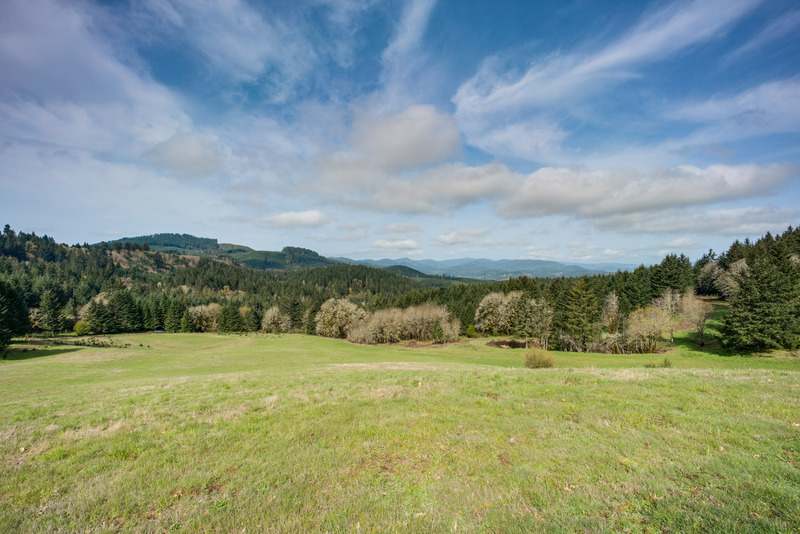 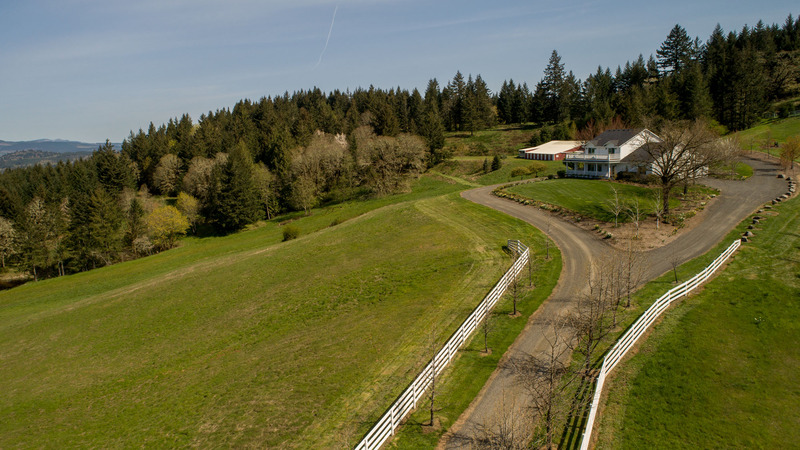 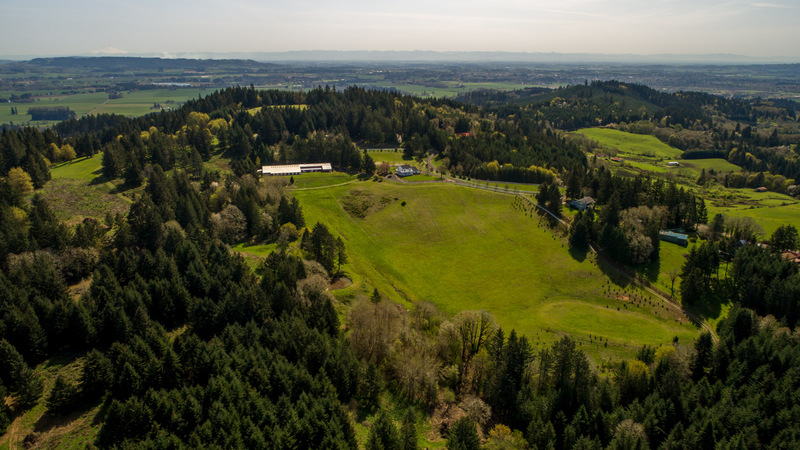 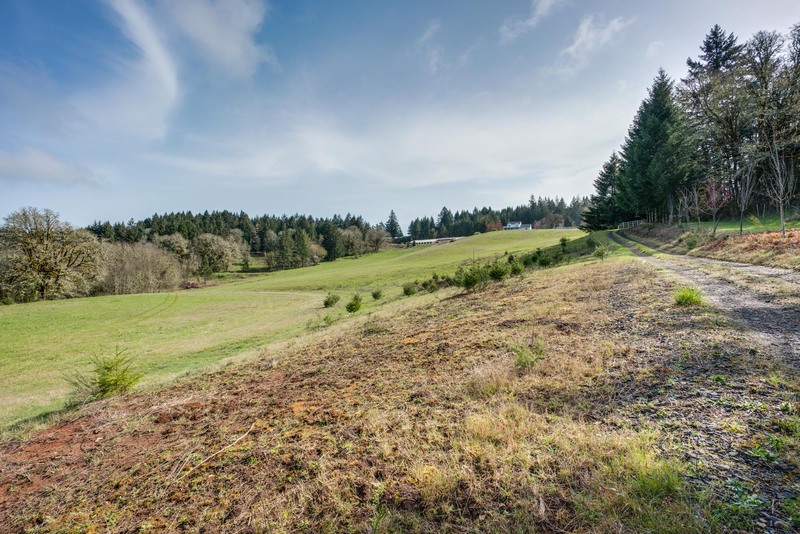 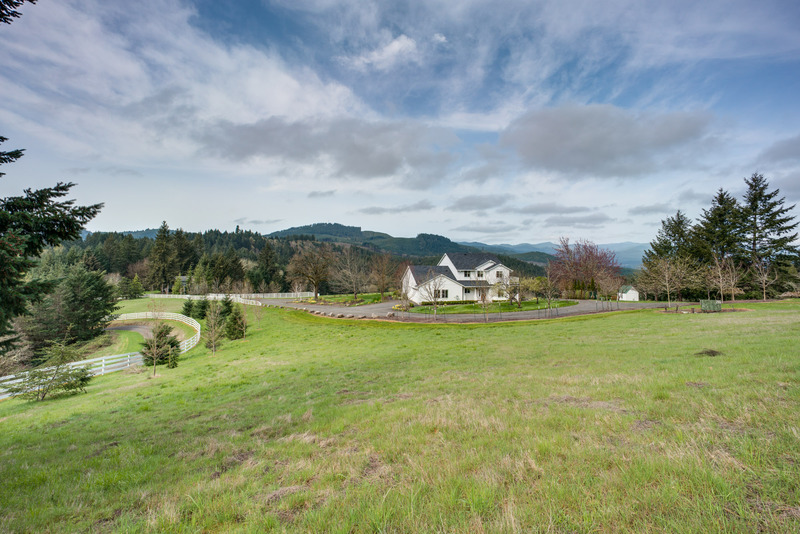 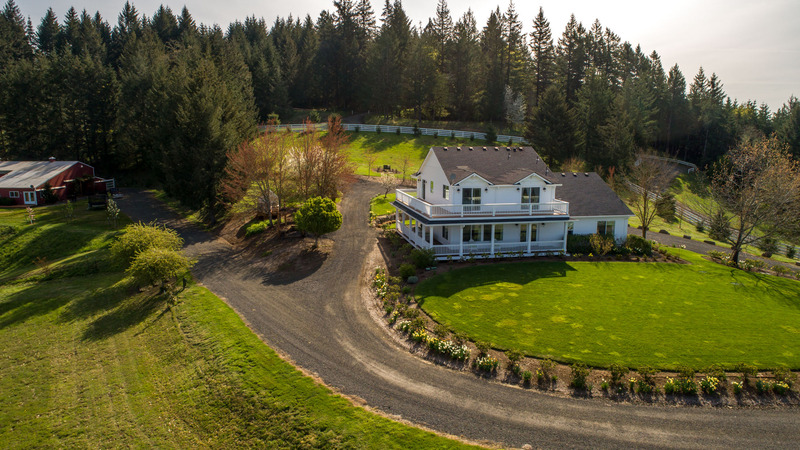 The adjacent lot presents a unique opportunity to acquire approximately 30 additional plantable acres, with which you could establish a premier Oregon vineyard site. 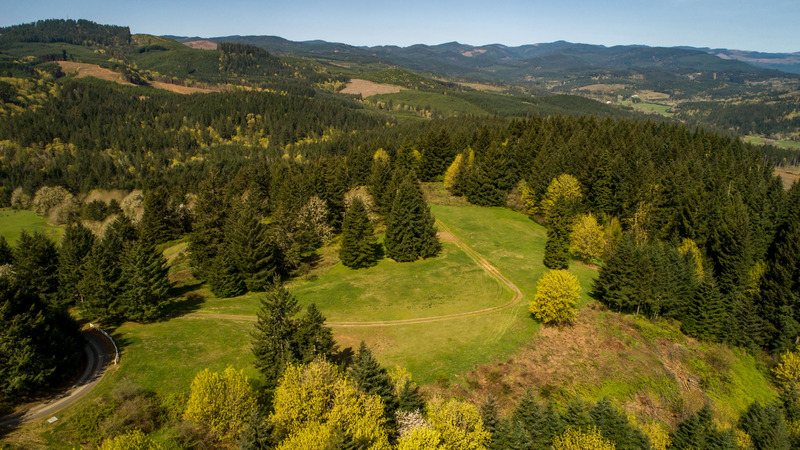 Of course, the possibilites are endless. 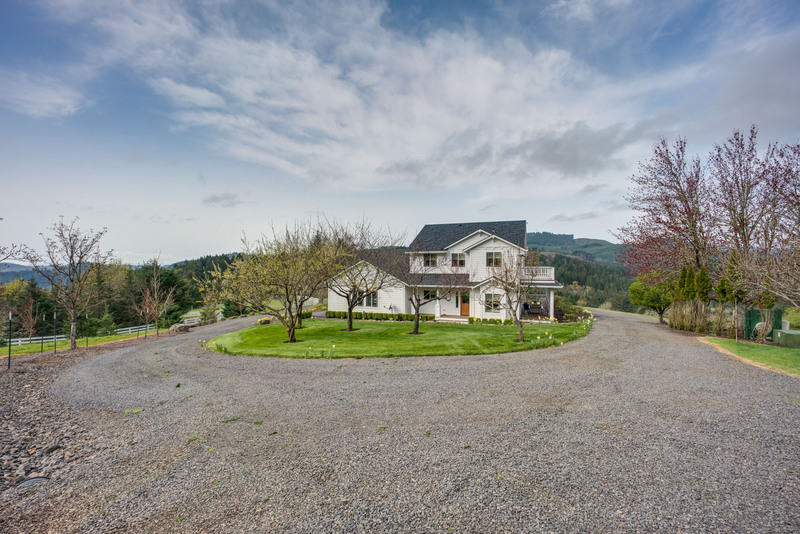 A property like this could easily become an outstanding destination vineyard-using the main house as a tasting room and even providing horse rides around the property. 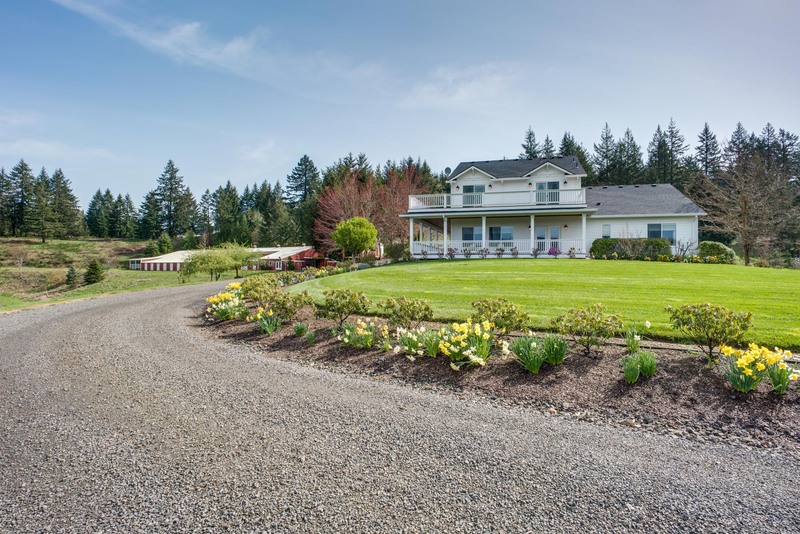 Or maybe a B&B? 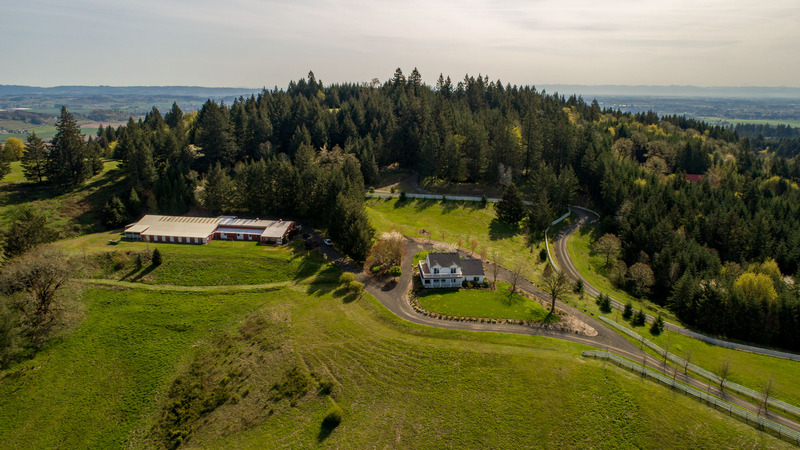 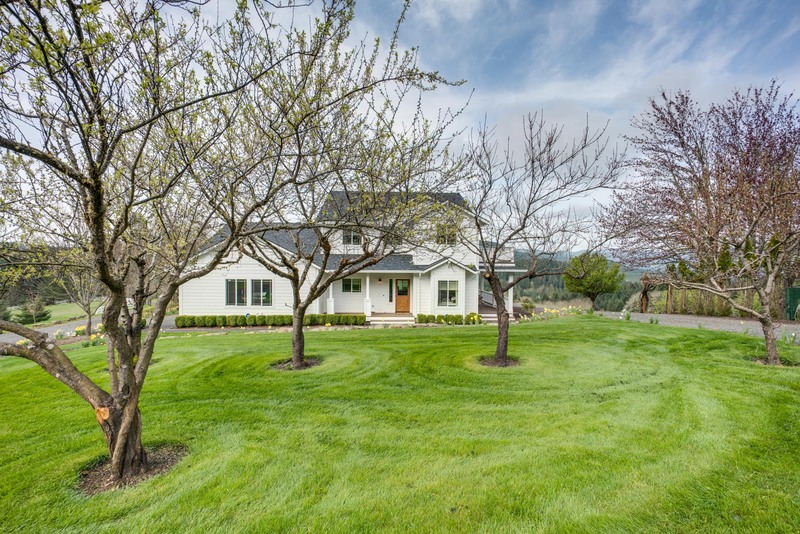 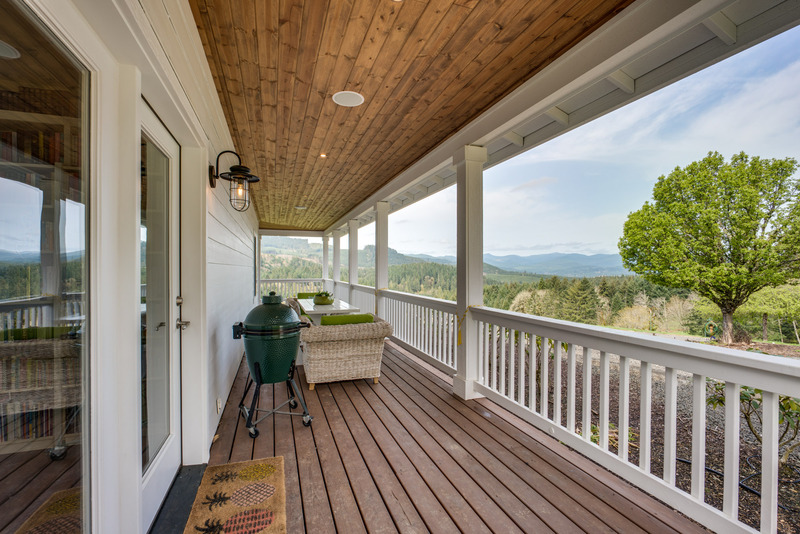 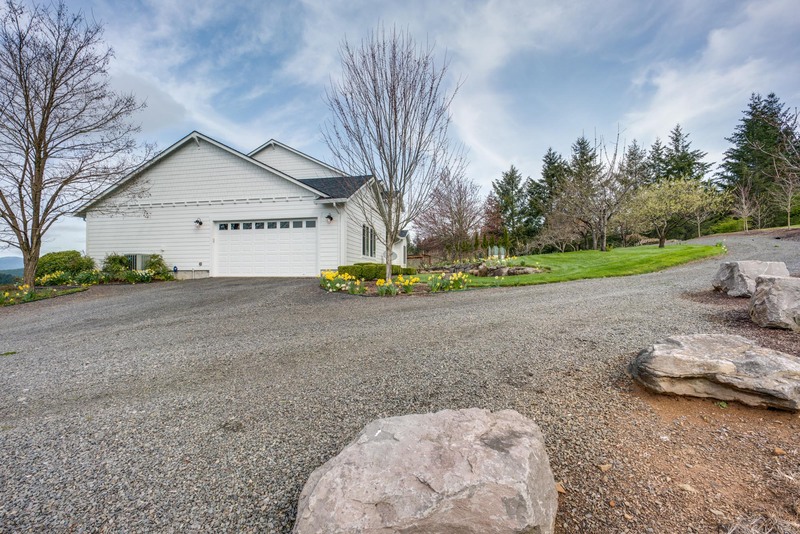 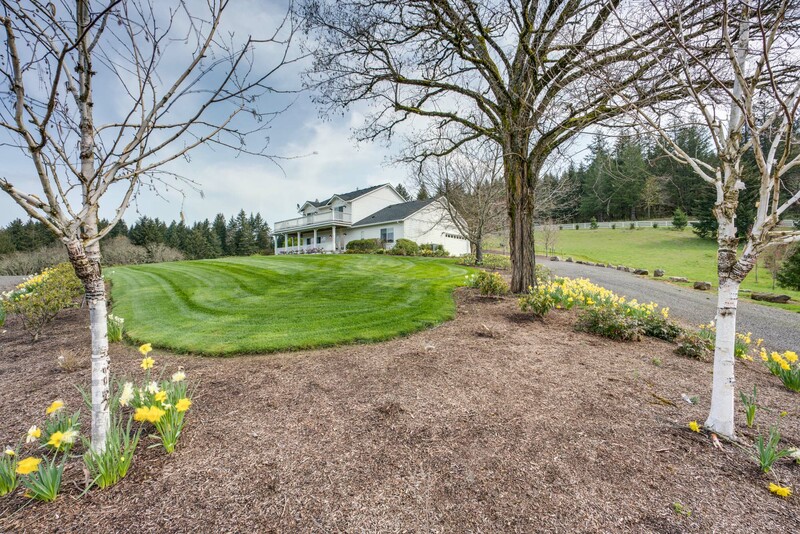 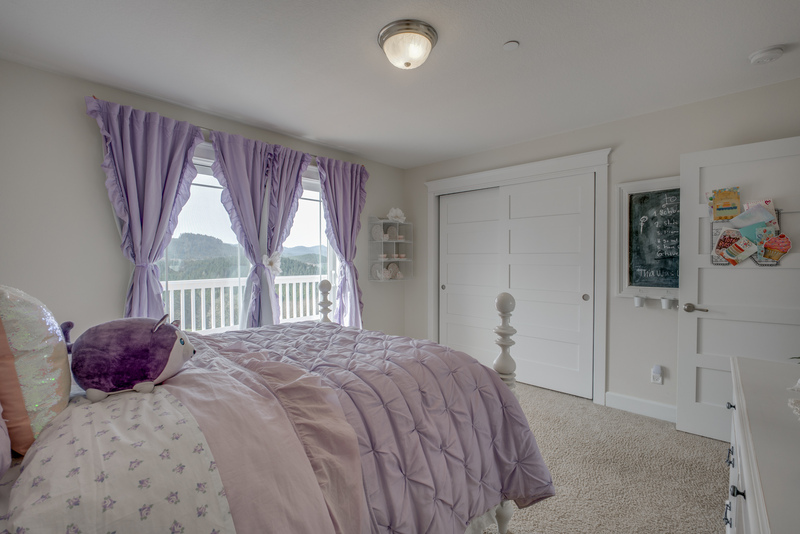 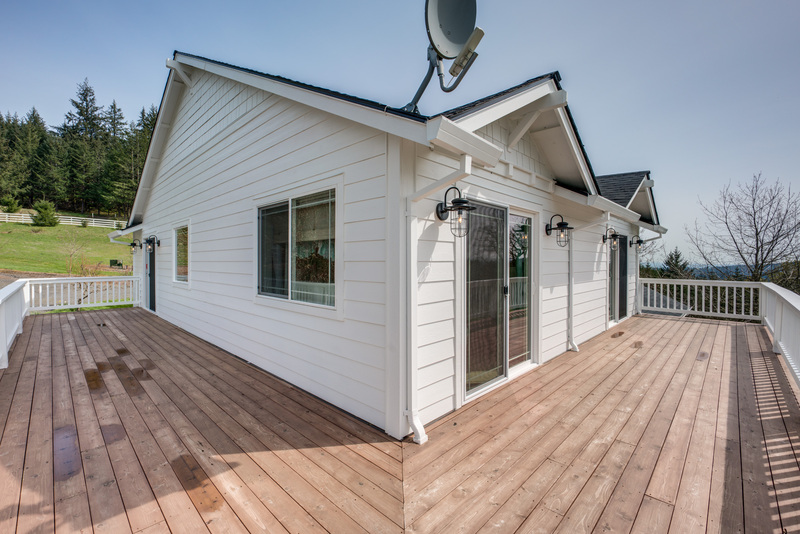 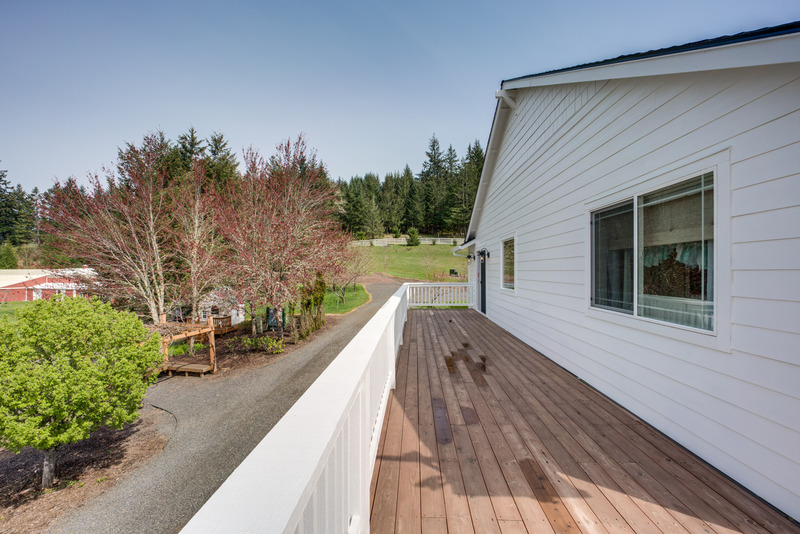 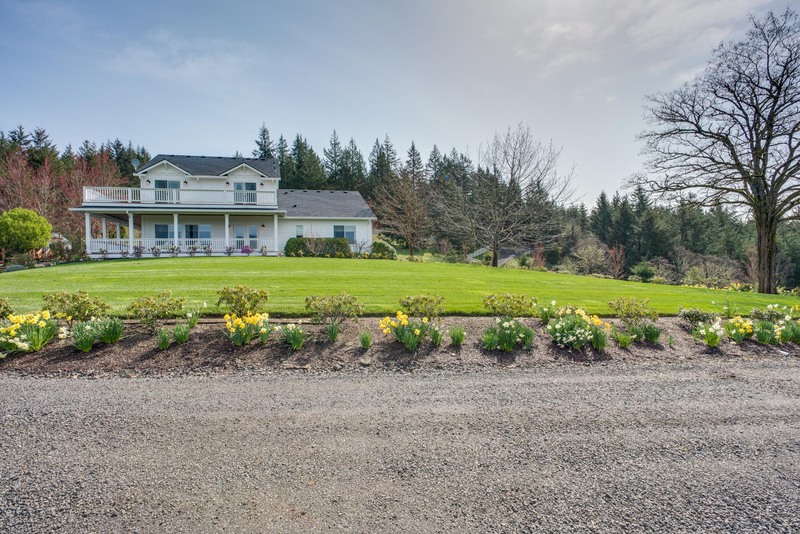 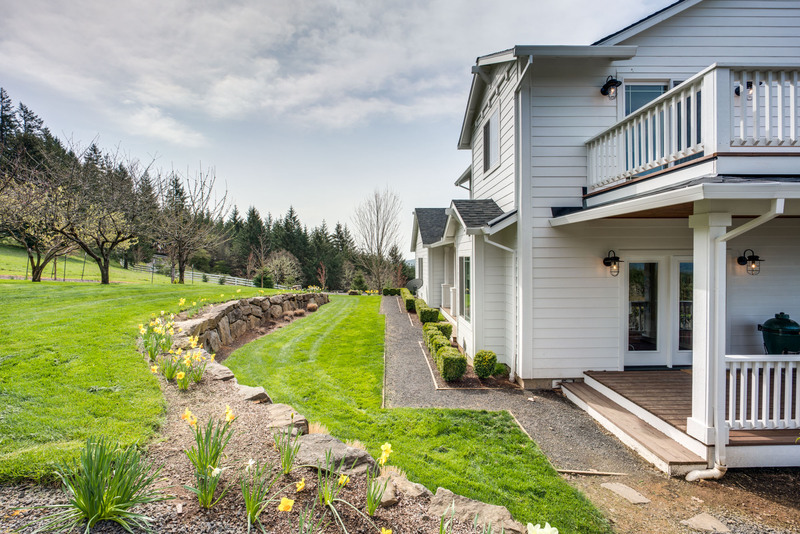 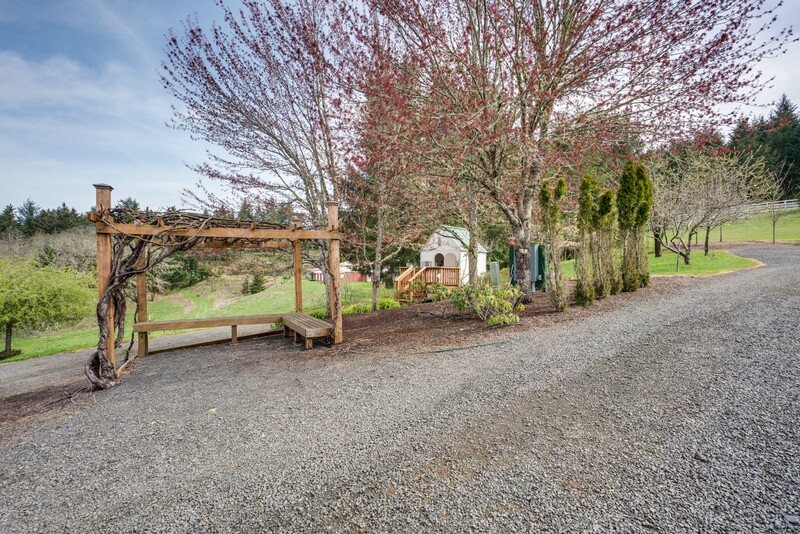 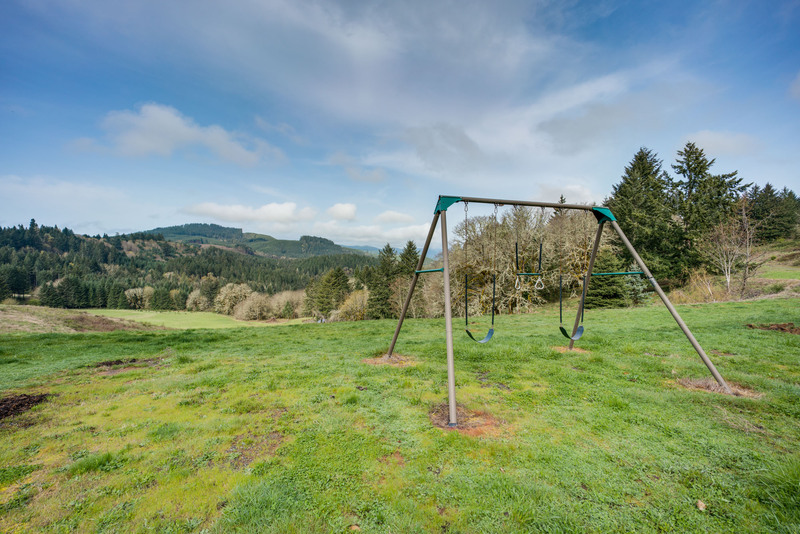 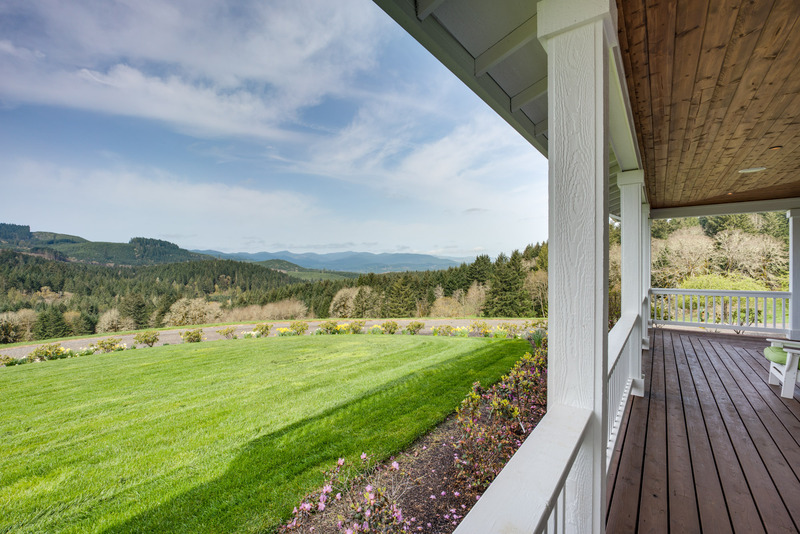 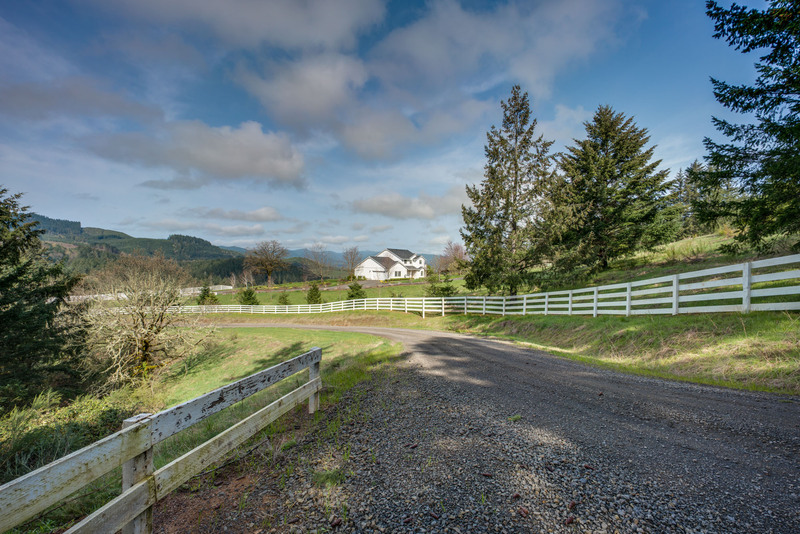 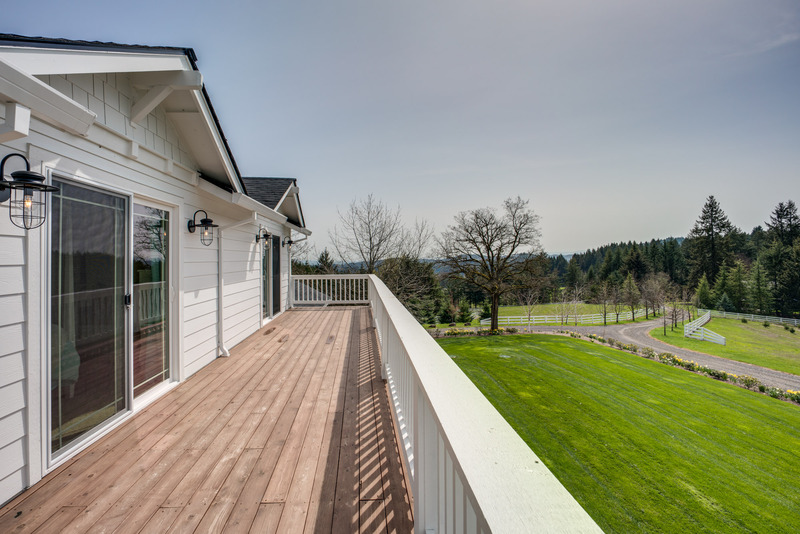 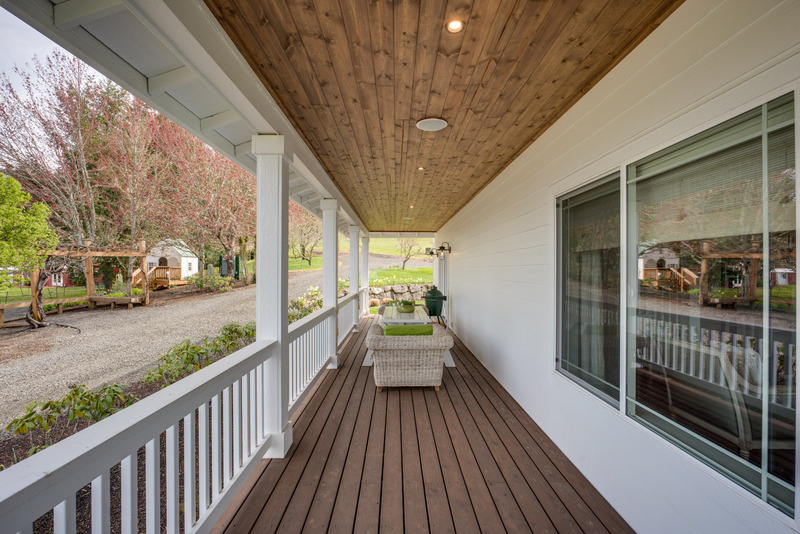 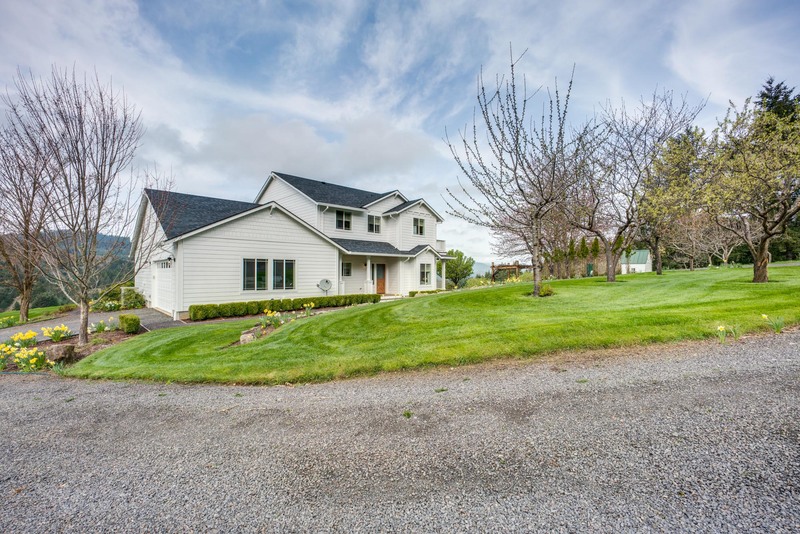 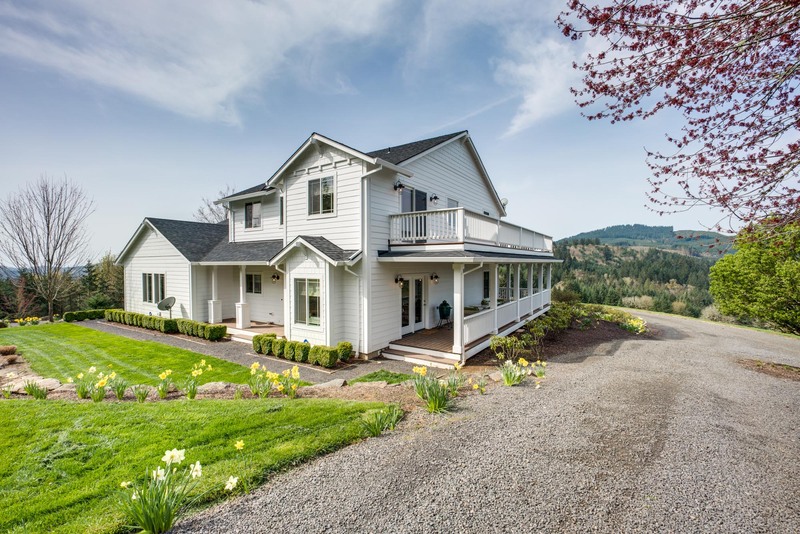 You could build a new home on the adjacent lot-also gorgeous and with astonishing views of Mount Hood and Mount St. Helens-and let guest enjoy those wrap-around porches and a private, luxurious country escape all to themselves. 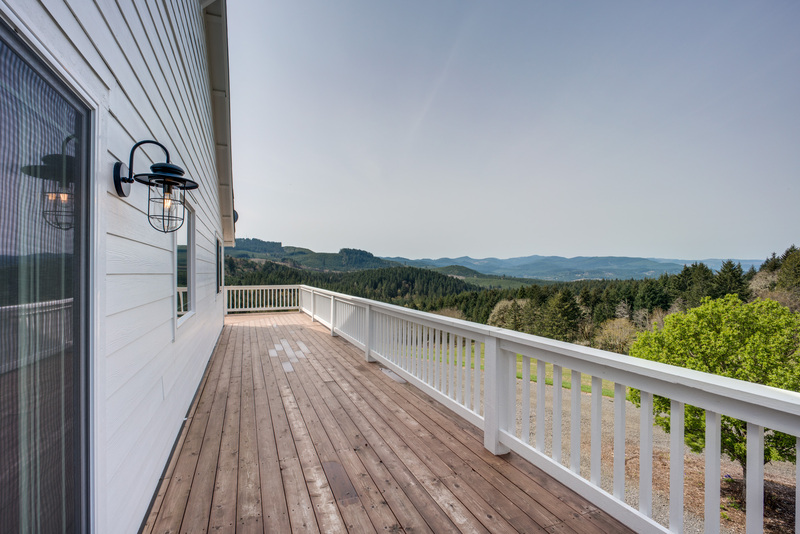 All you have to do is take in the view. 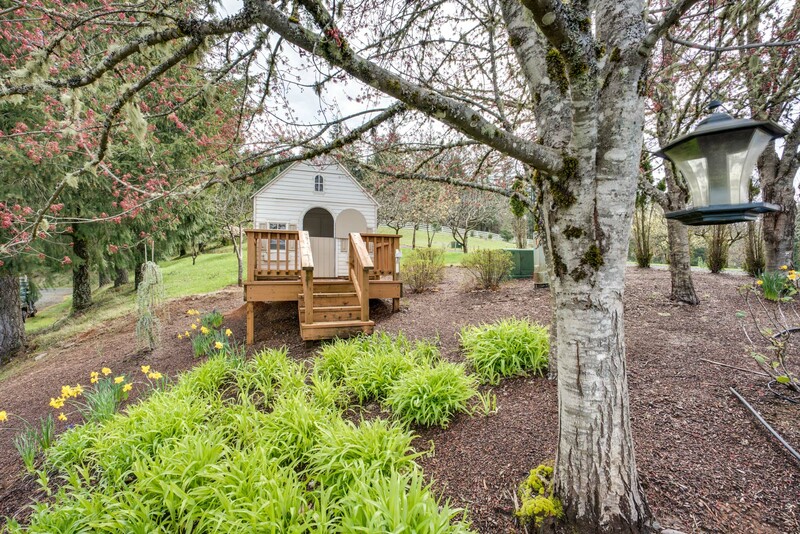 There’s room and opportunity here for practically any size dream.